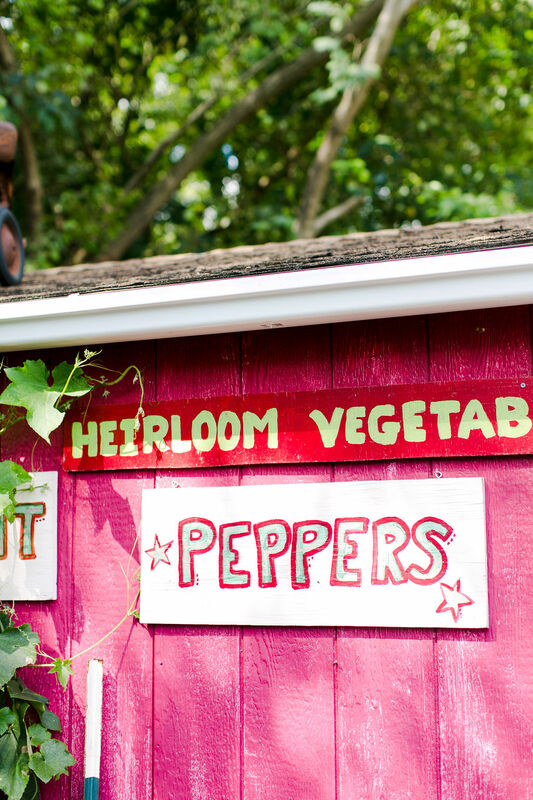 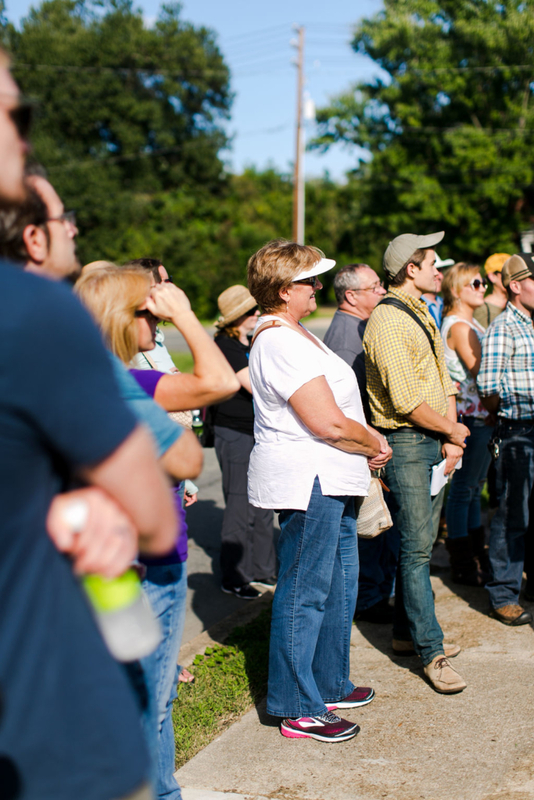 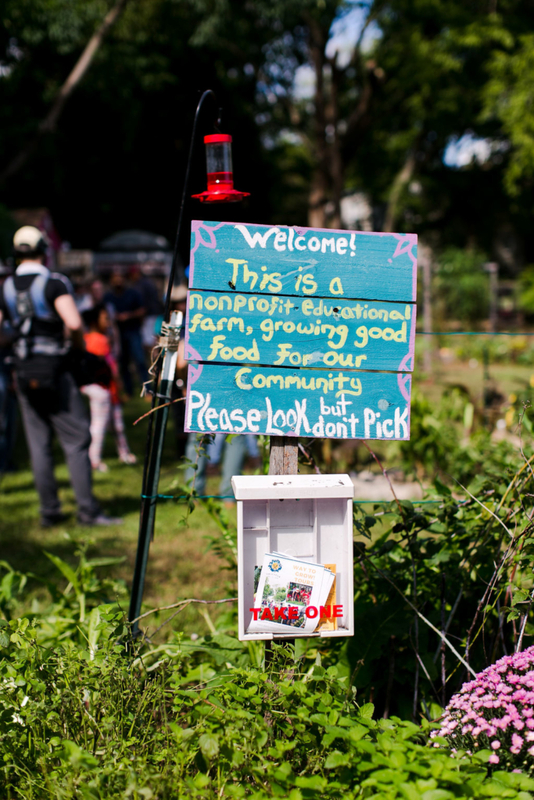 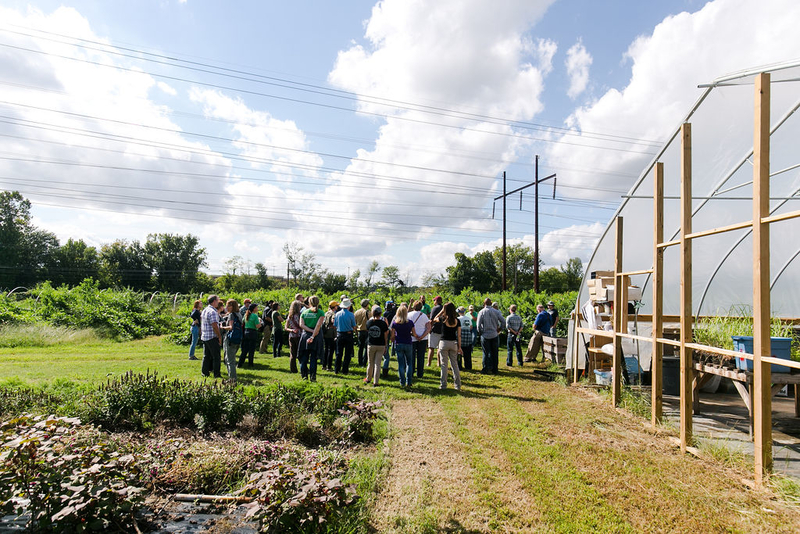 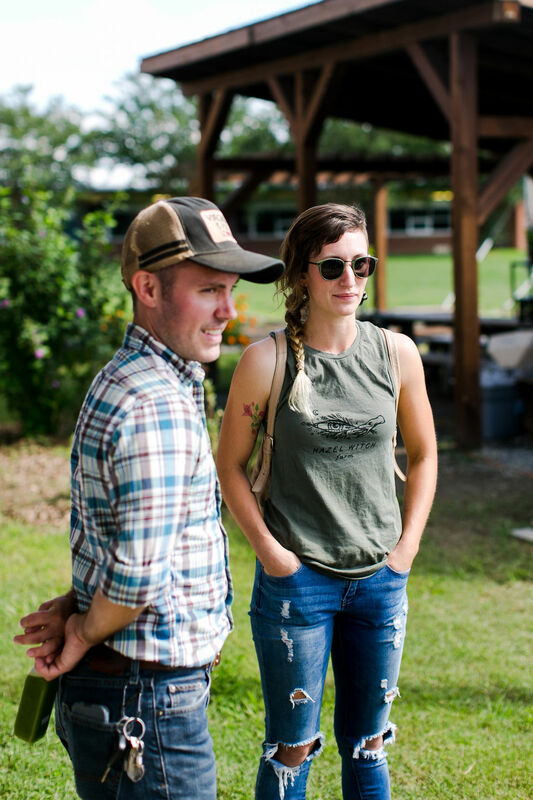 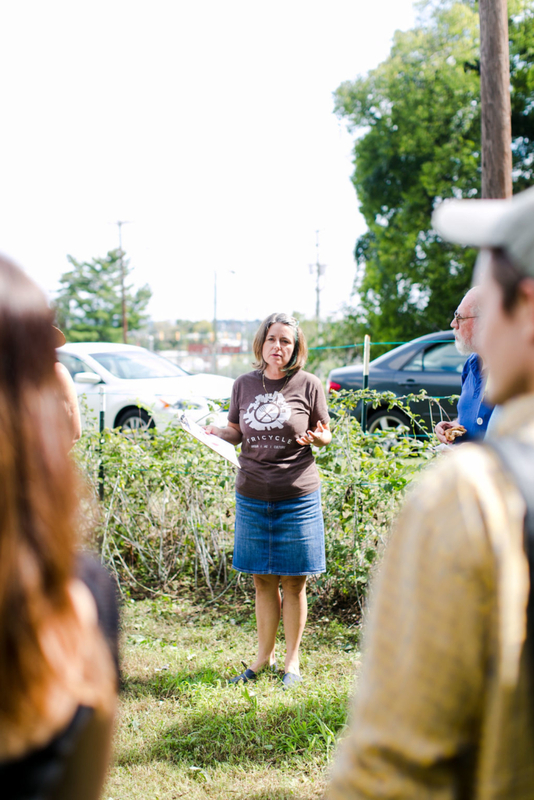 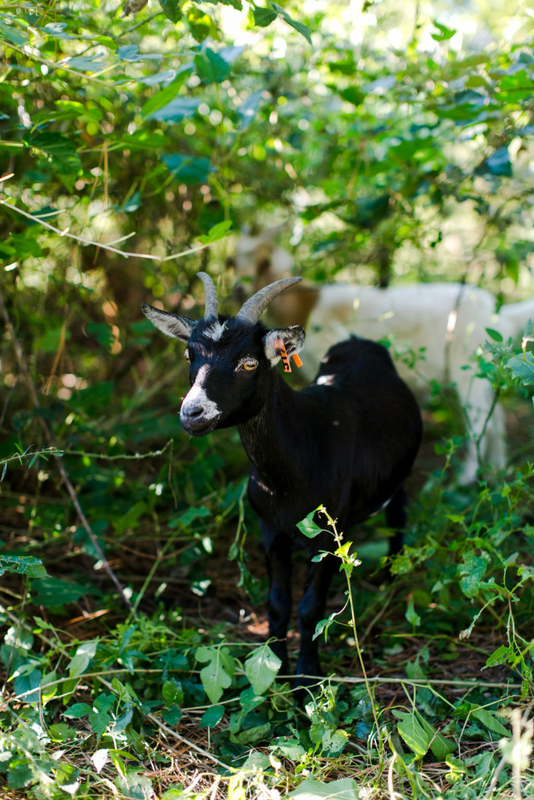 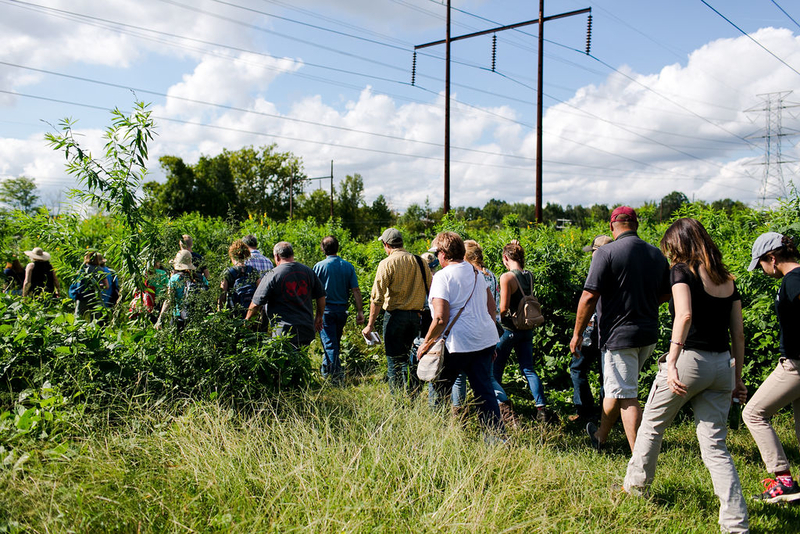 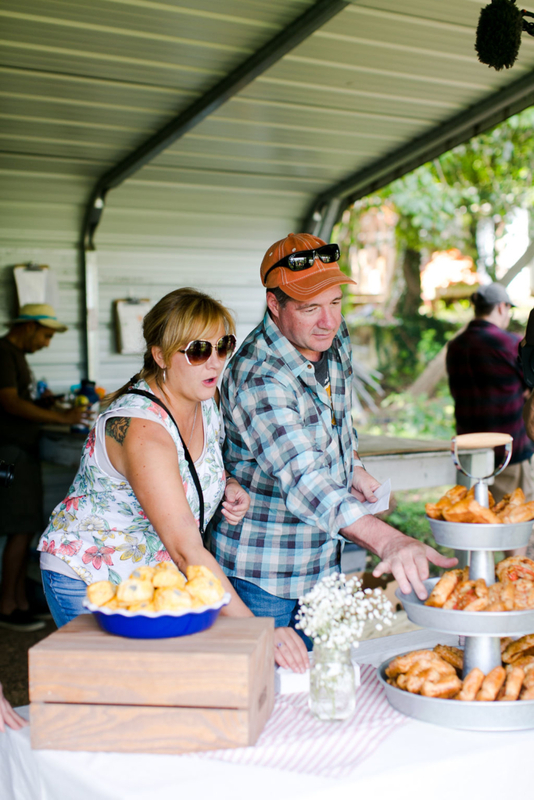 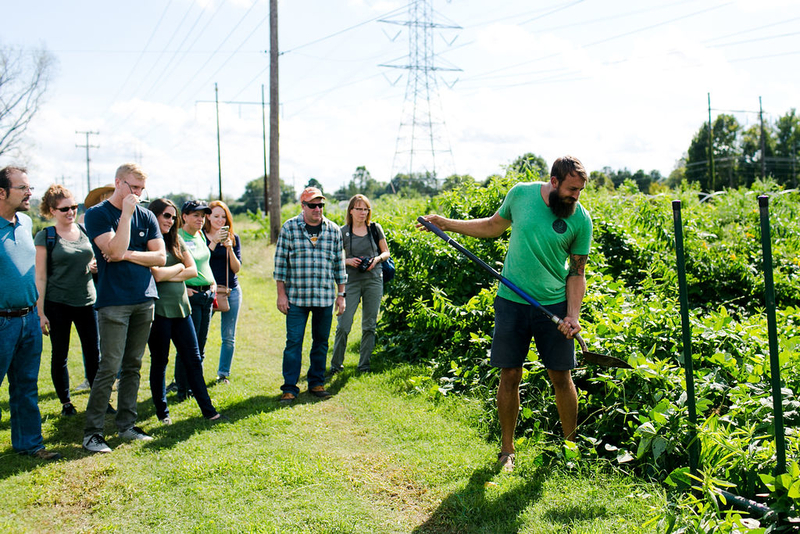 September 29th marked Real Local RVA’s 3rd Annual Farm Tour. 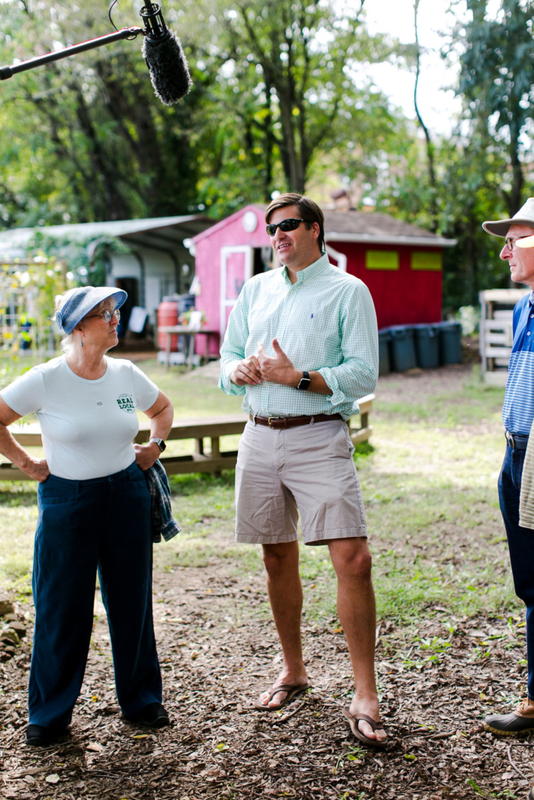 As I arrived at the Lakeside Farmers’ Market Pavilion the tour group’s excitement to tour 4 Urban Farms was visible; families, small business owners, and even the mayor were about to meet and connect with the very people that grow their food! Everyone was at the table, so to speak; we were a diverse group from various backgrounds. 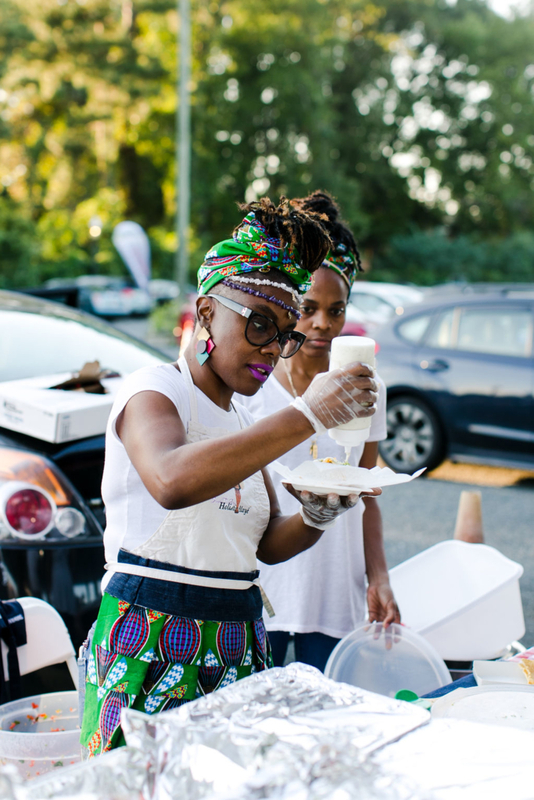 However, what brought us all together was our belief in local food. 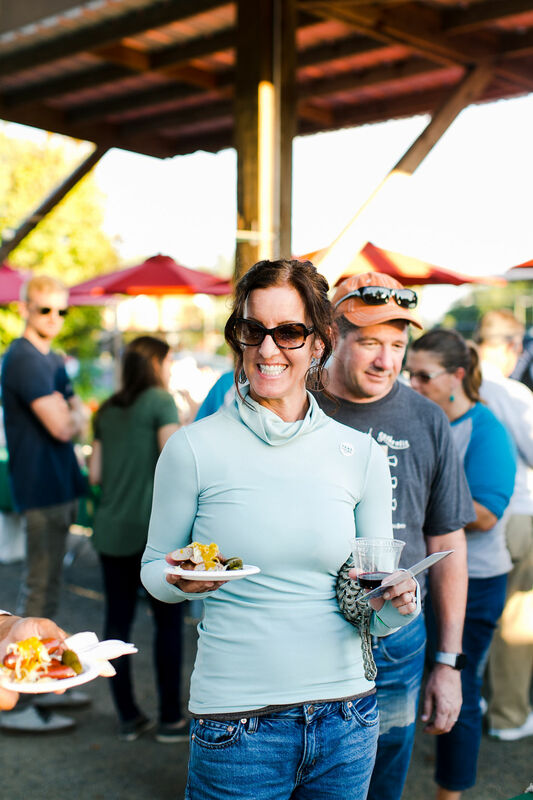 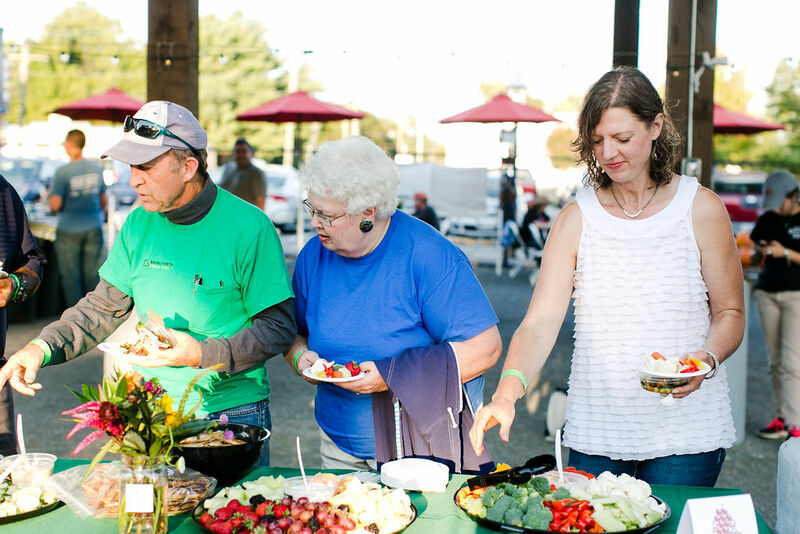 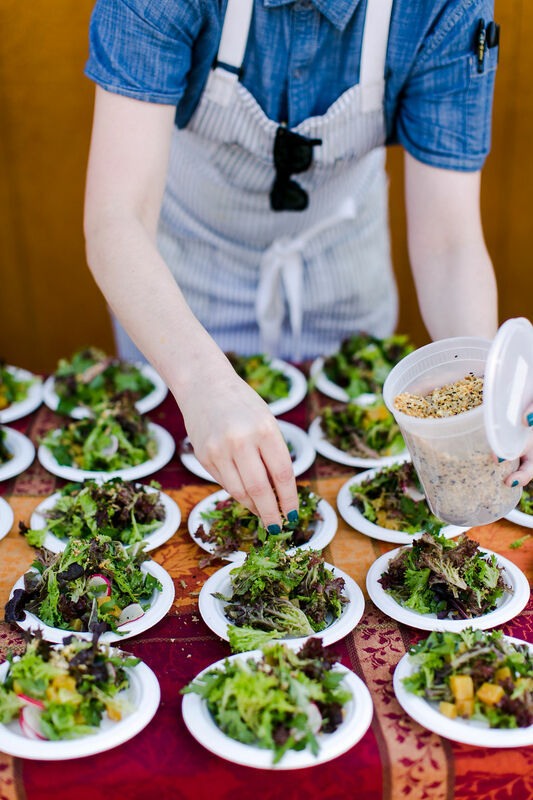 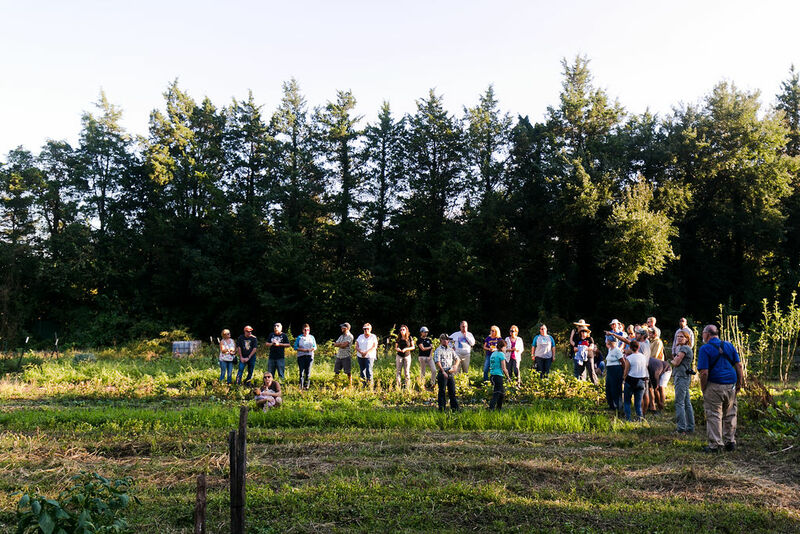 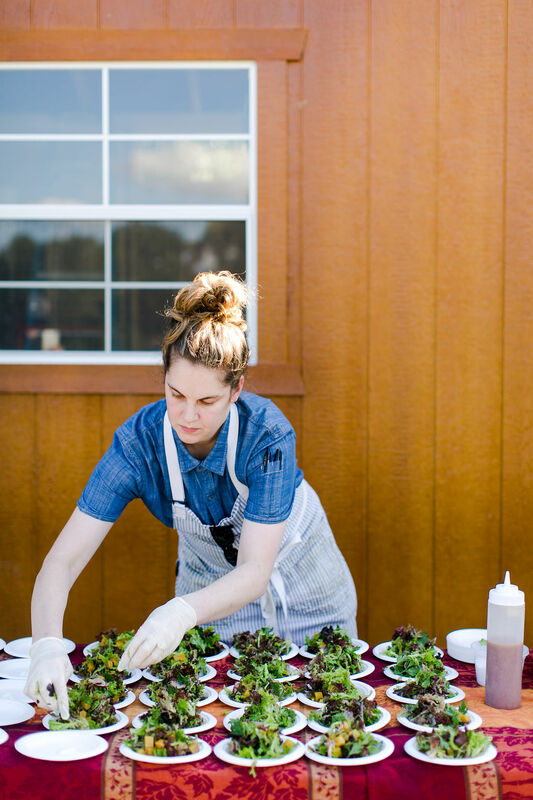 This thoughtful act of building community and an economy around sustainable farming was reinforced by our agricultural lessons, laughter, and obviously…the food. 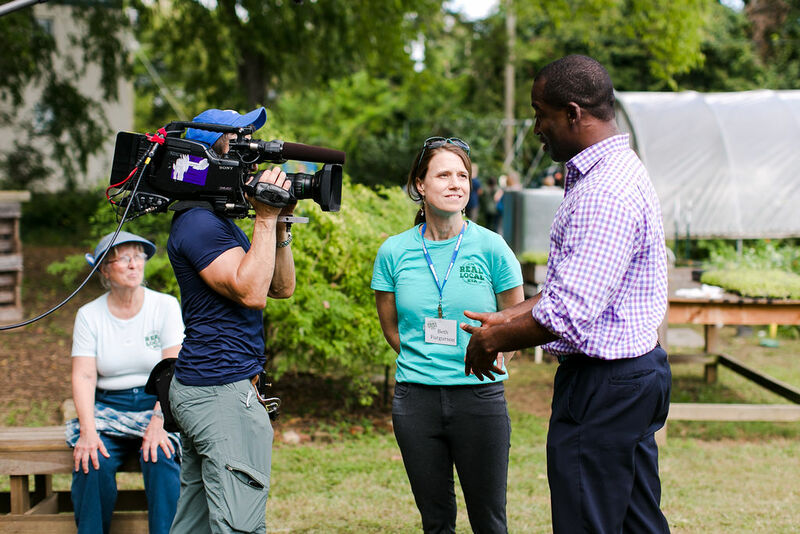 We were joined for the day by a news crew from MSNBC. 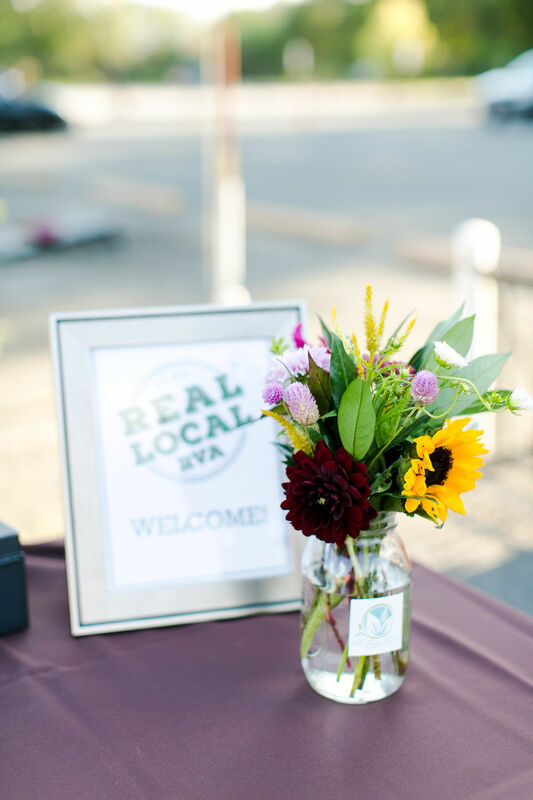 The footage will air in November on a show called “Your Business” highlighting the work of Real Local RVA and all the great local collaborations that happened throughout the day to make the event possible. 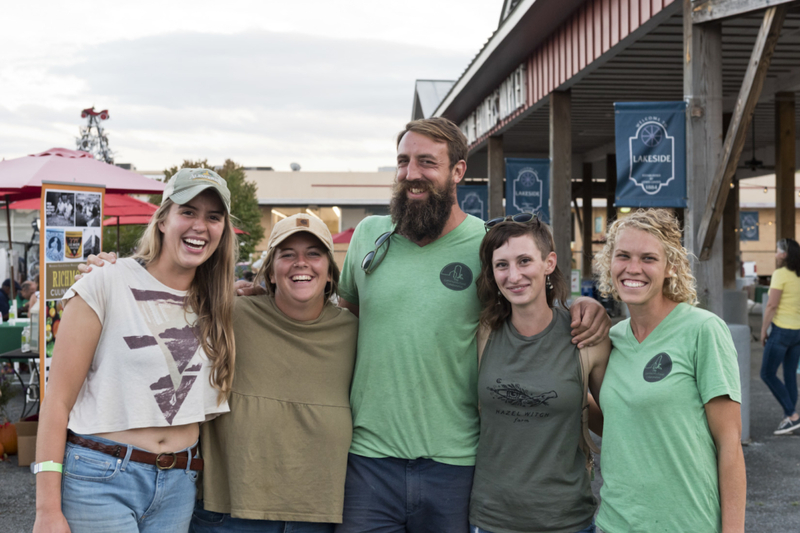 The following short summaries were written to highlight the unique stories from each stop along the tour. 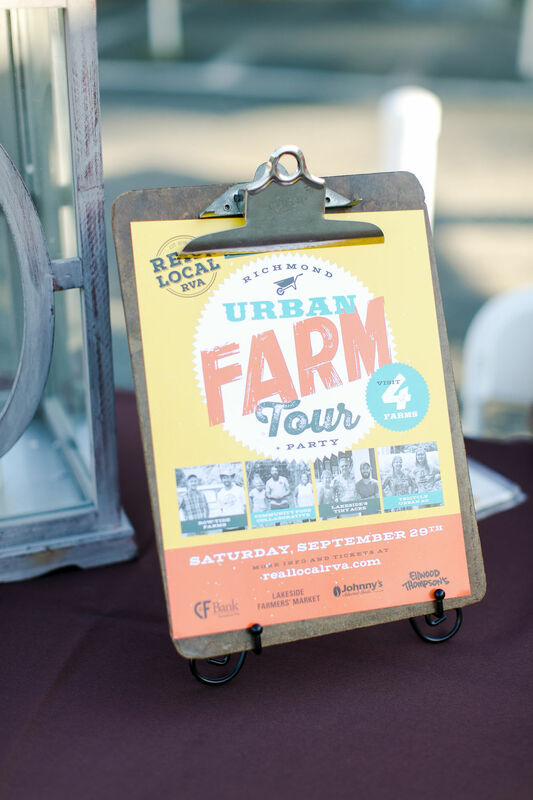 We began the tour at Tricycle Urban Ag by snacking on locally sourced, handmade baked goods from Sugar + Twine. 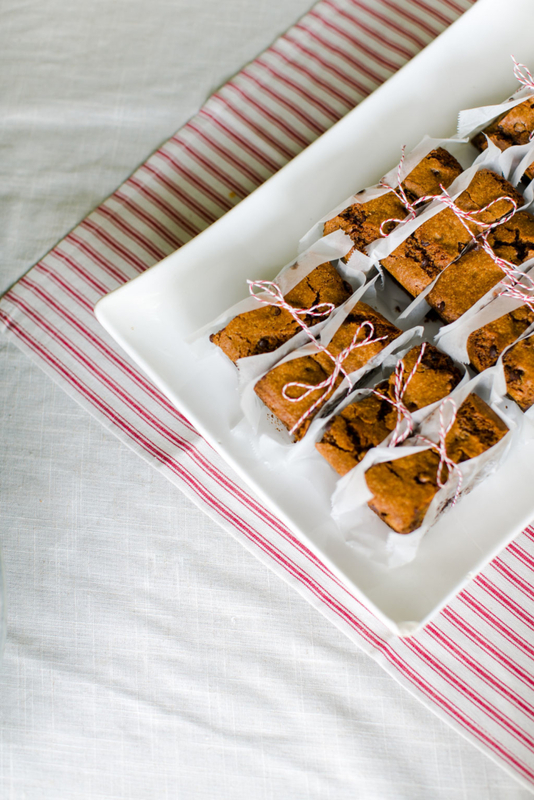 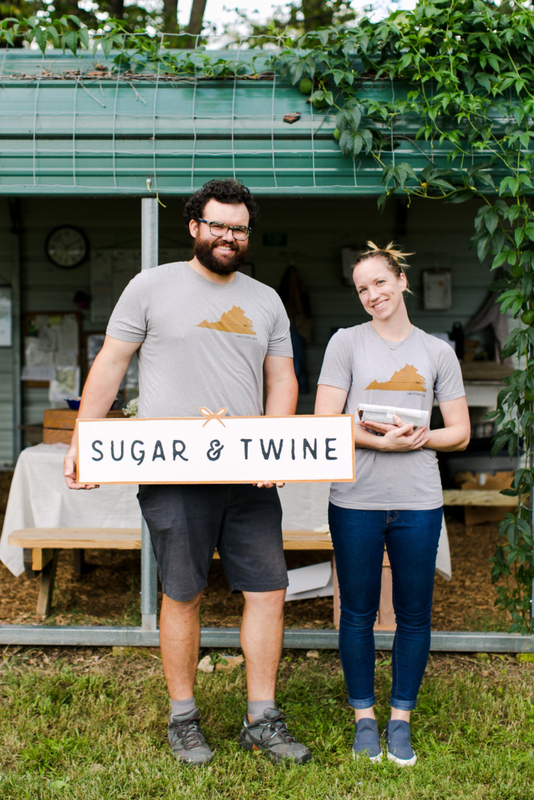 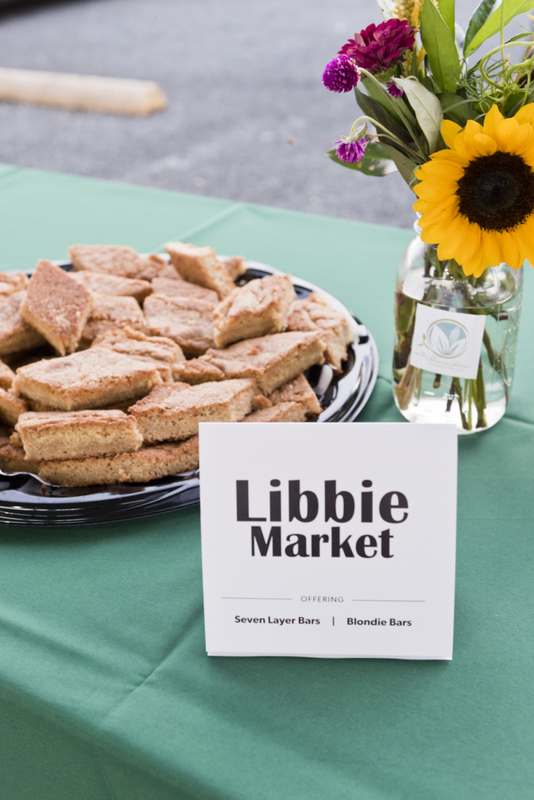 Owned by Beth Oristan, Sugar + Twine is a small bakery situated in Richmond’s popular shopping district of Carytown. 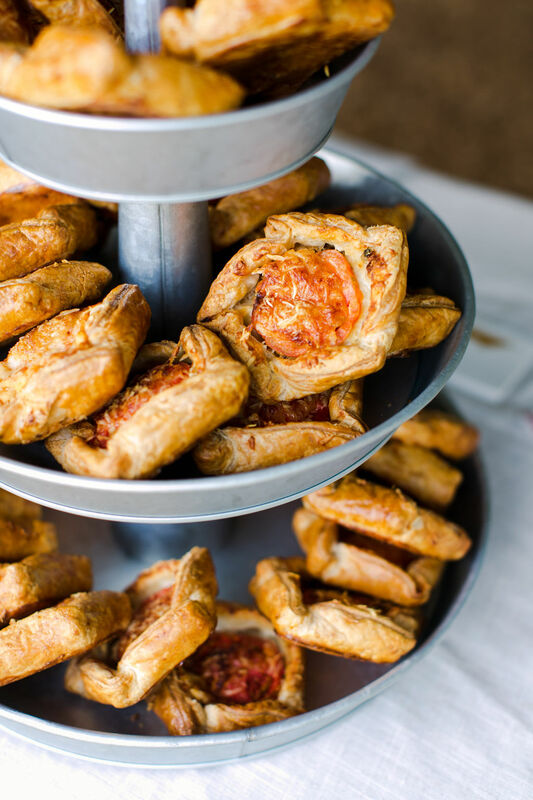 Once we finished our delicious pastries featuring some of Tricycle’s produce, we were led by Tricycle staff members on a detailed tour the farm. 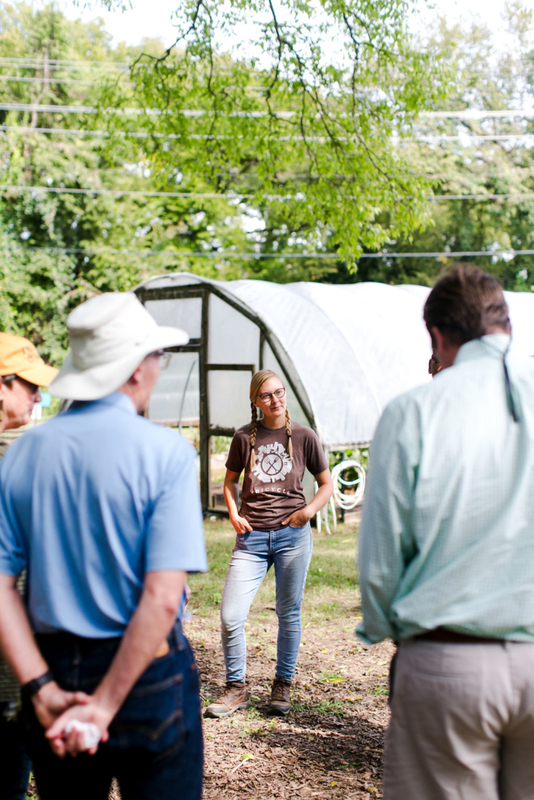 We learned about gravity fed watering systems, the importance of microbiomes in the soil, and their intricate composting system. 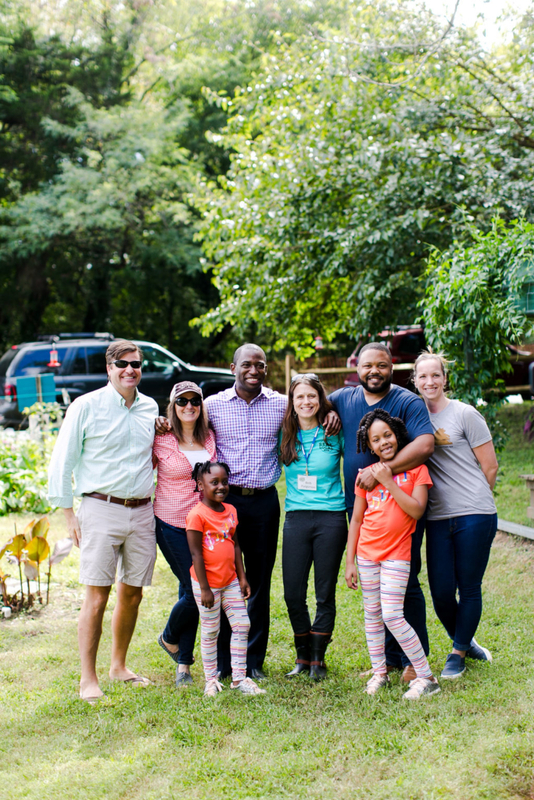 Mayor Levar Stoney also joined us at this stop and commended Tricycle on their great work and discussed how important it is for all to have access to fresh, healthy food. 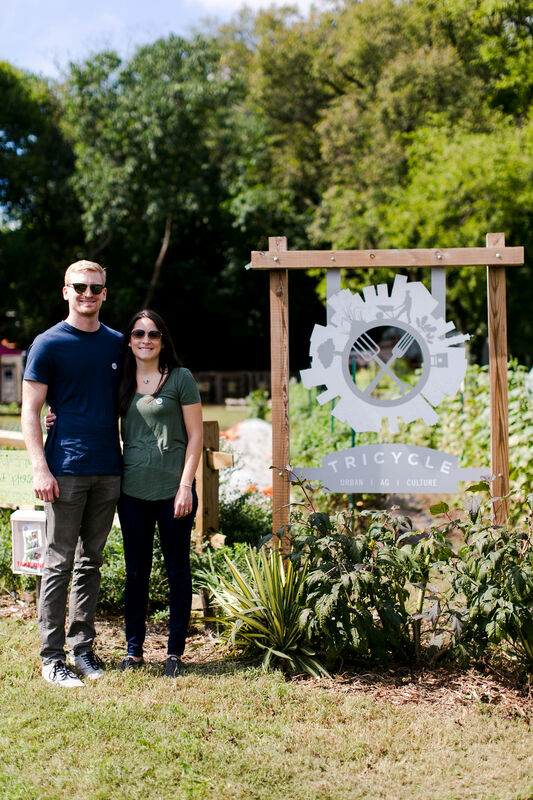 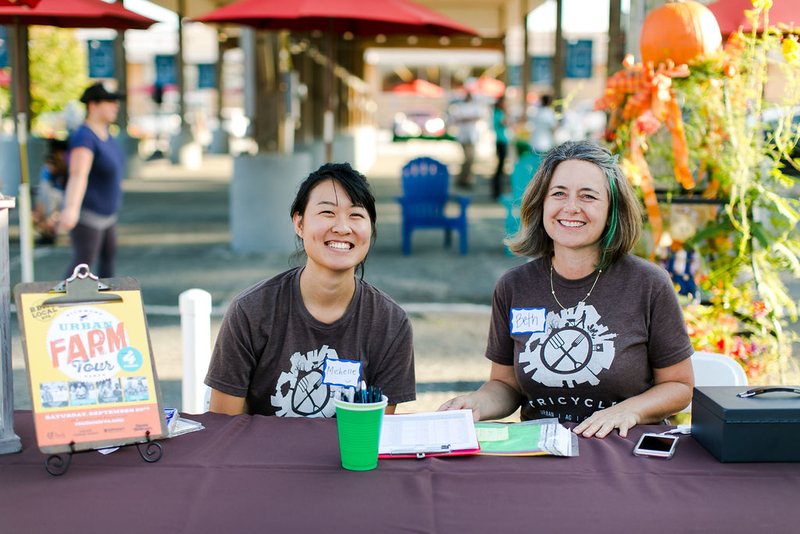 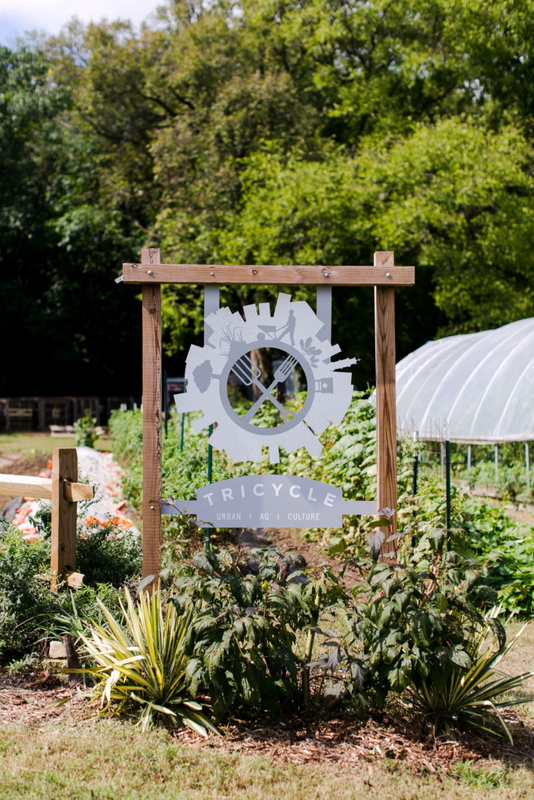 Tricycle Urban Ag is a non-profit on a mission to build a healthy future through urban agriculture. 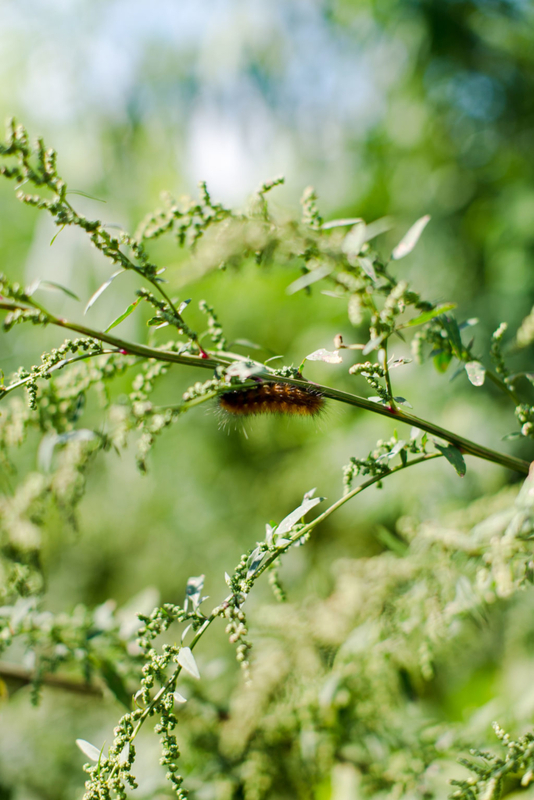 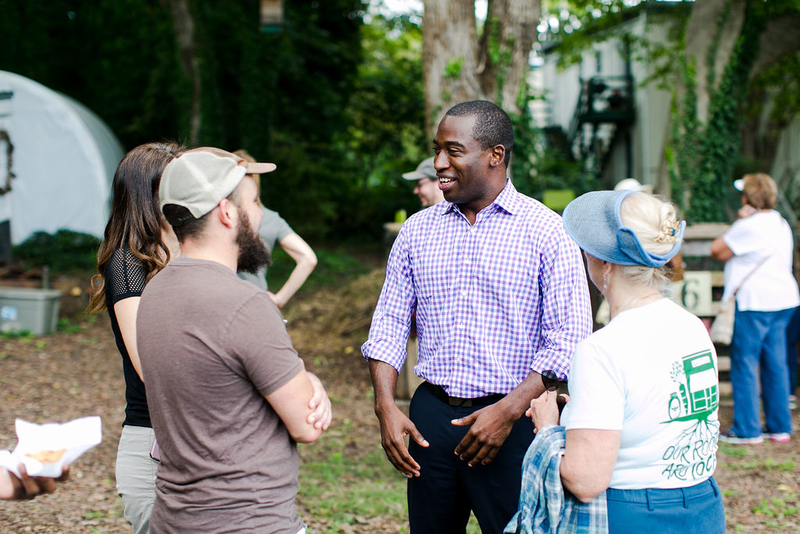 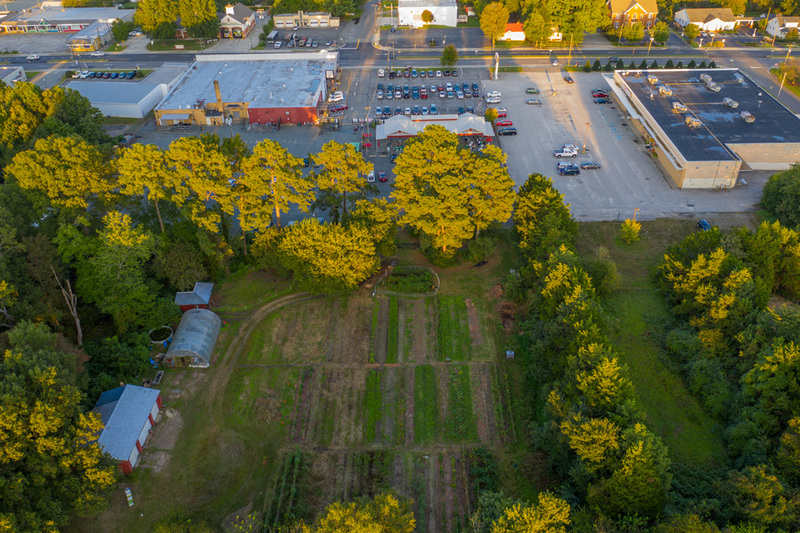 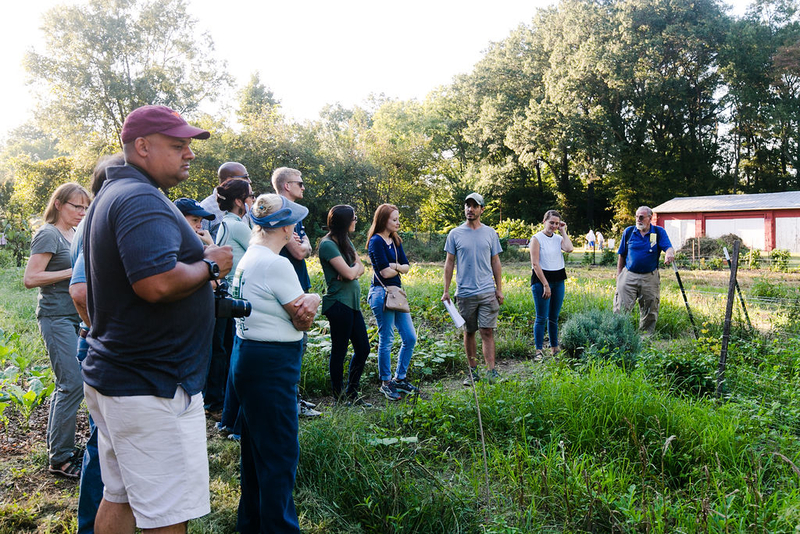 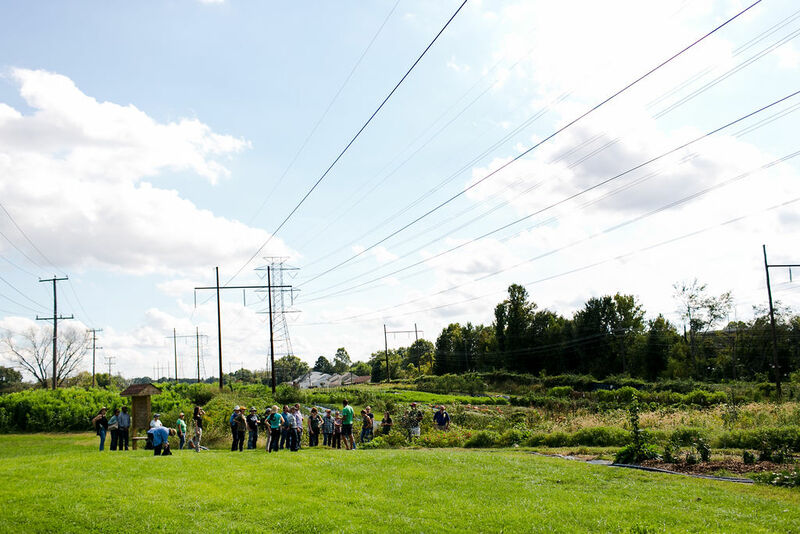 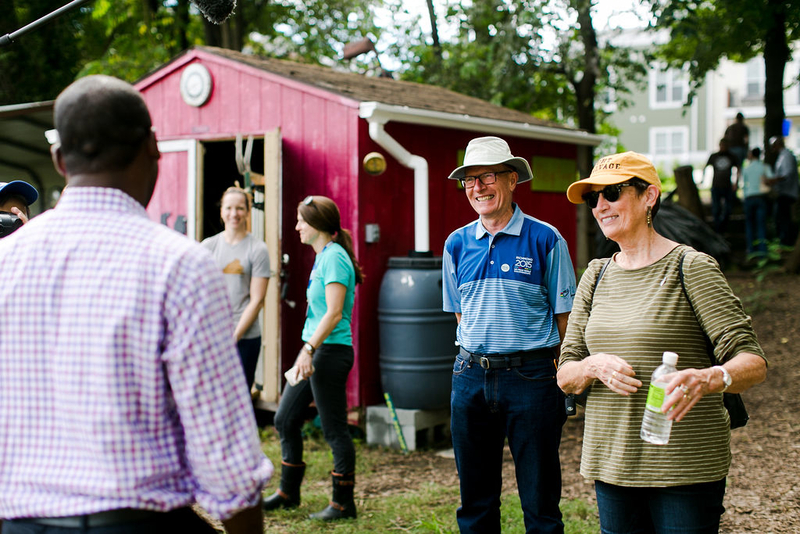 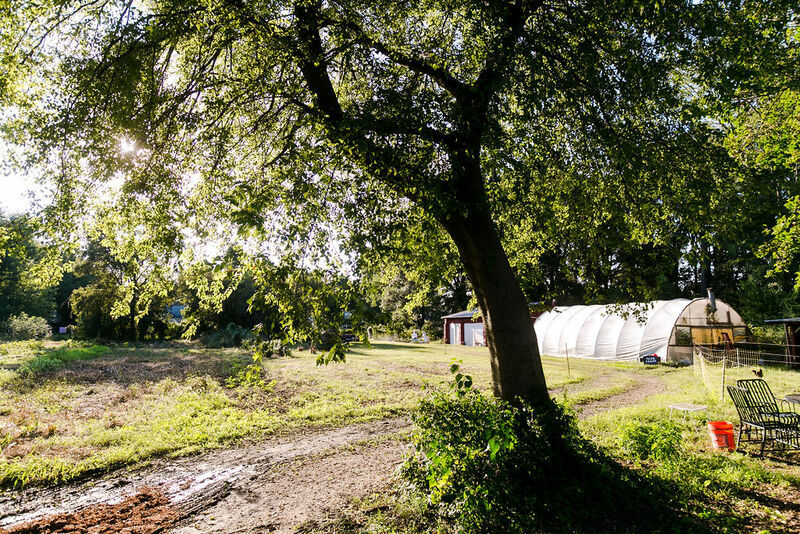 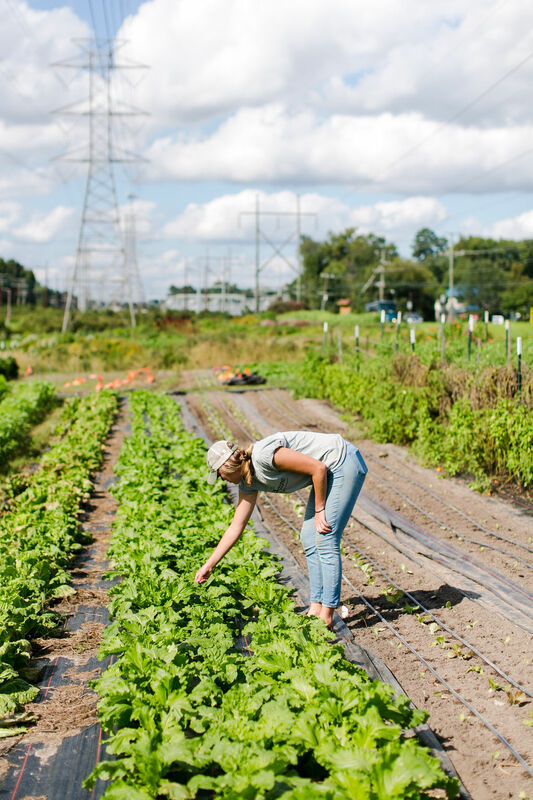 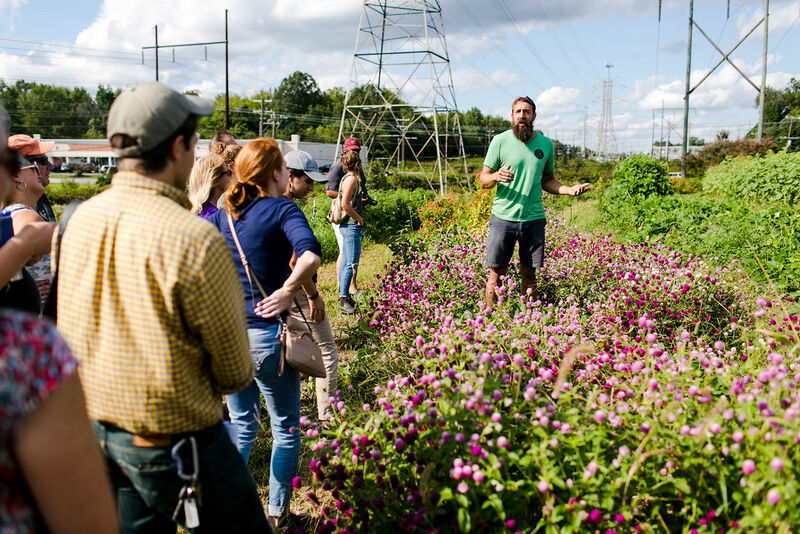 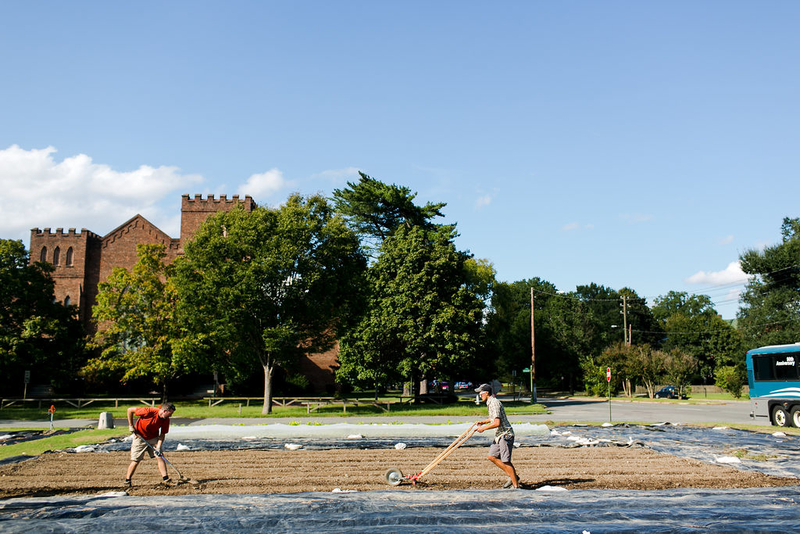 They are transforming Richmond’s abandoned spaces with community gardens, children’s gardens, urban farms, and orchards while inspiring the next generation of farmers and good stewards. 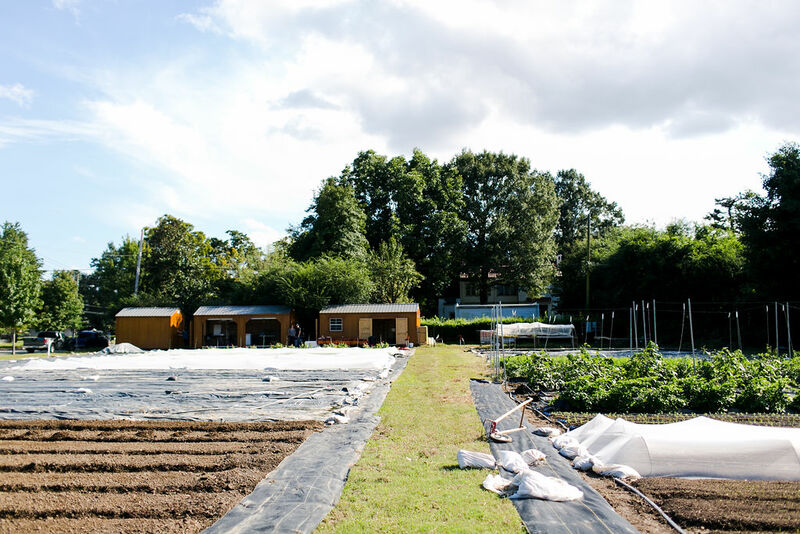 I highly recommend checking out this small urban farm located in Richmond Manchester district. 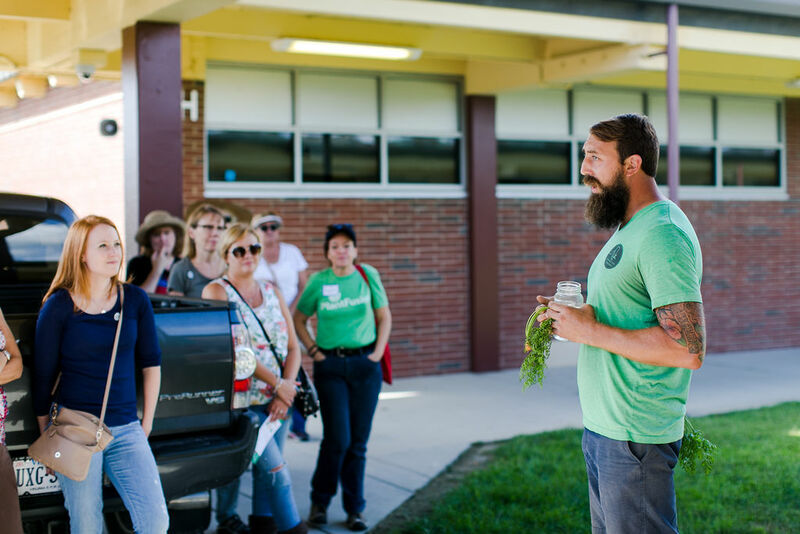 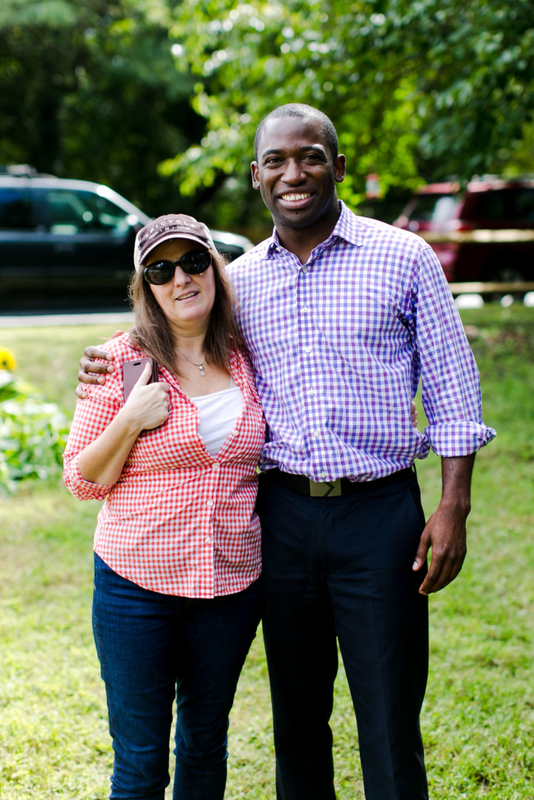 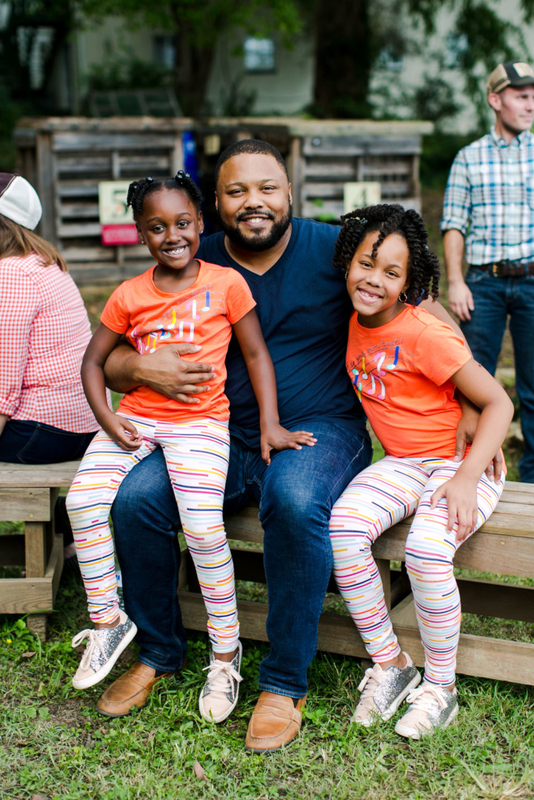 Upon arriving at the second stop, I found myself wondering, “Why are we at a middle school?” I soon learned that Cornerstone Farm is seamlessly integrated into the schoolyard of Fairfield Middle School in Henrico County. 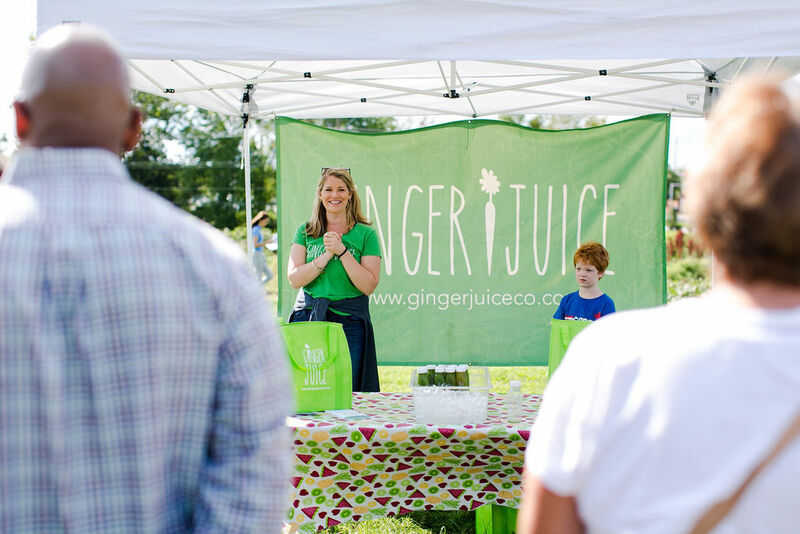 As we arrived we were greeted by Erin Powell, owner of Ginger Juice and her red-headed son, Sayer, the namesake of her business. 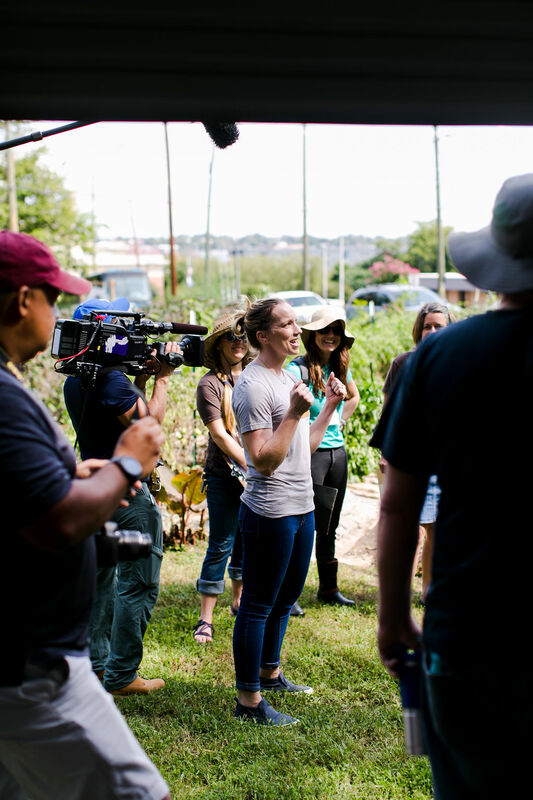 Erin began juicing as a way to get more fruits and vegetables into her young son. 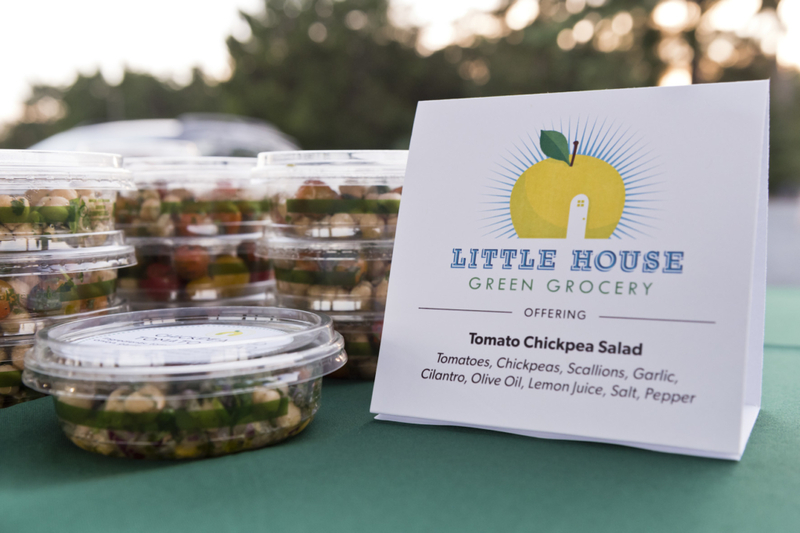 This healthy mission has lead to a personal passion, 2 storefronts, and a business to be proud of. 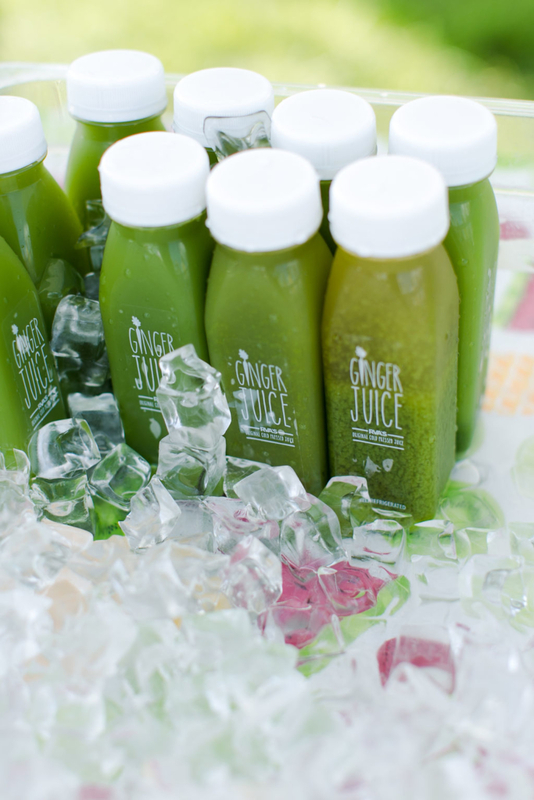 Erin provided a sample of her juice, which was greatly welcomed on the hot day. Bow Tide Farms is an up and coming urban operation with an interesting past and bright future. 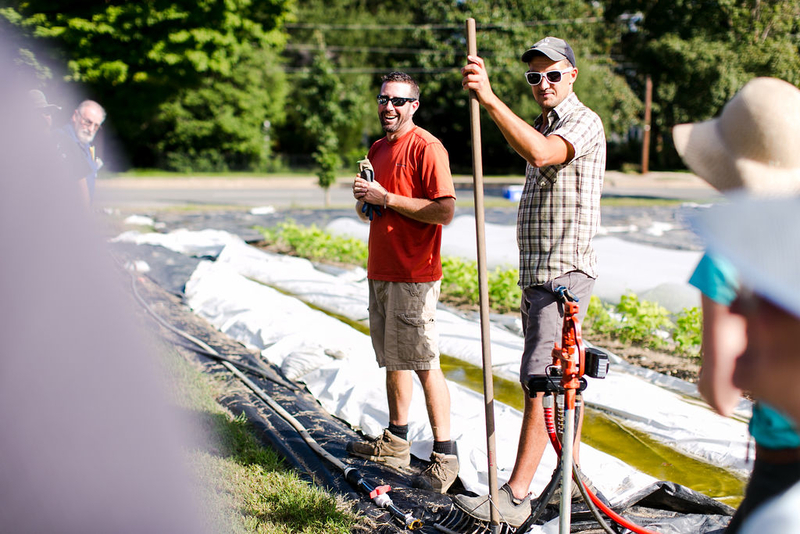 As a hobby, both of the founders (Joe Jenkins and Josh Dziegiel) began growing salad greens in their backyards. 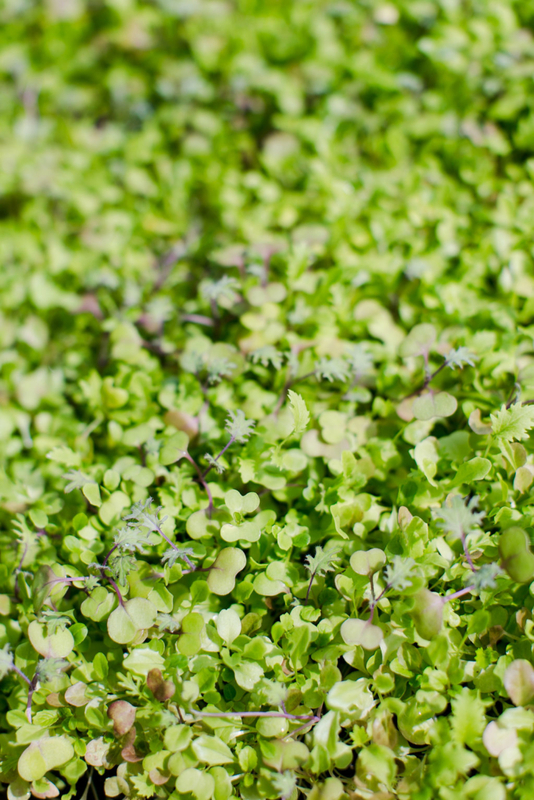 Soon enough, they realized eating 15 lbs of salad greens is not an easy feat! 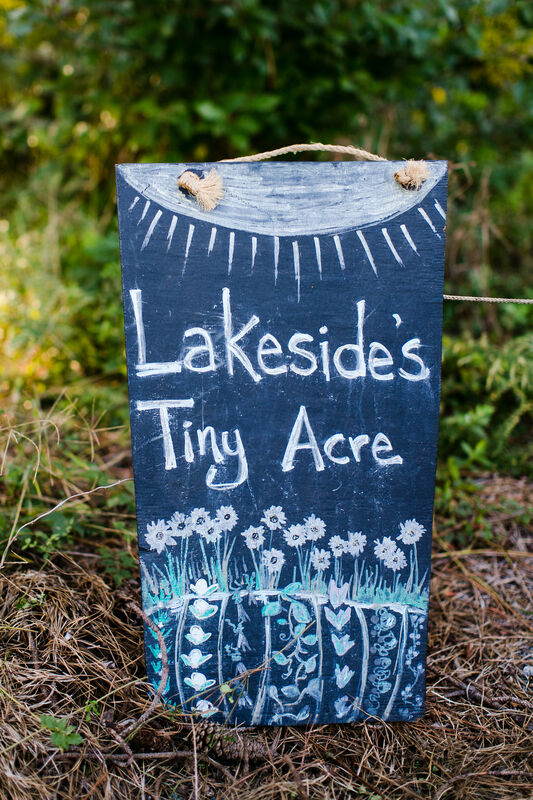 So what did they do? 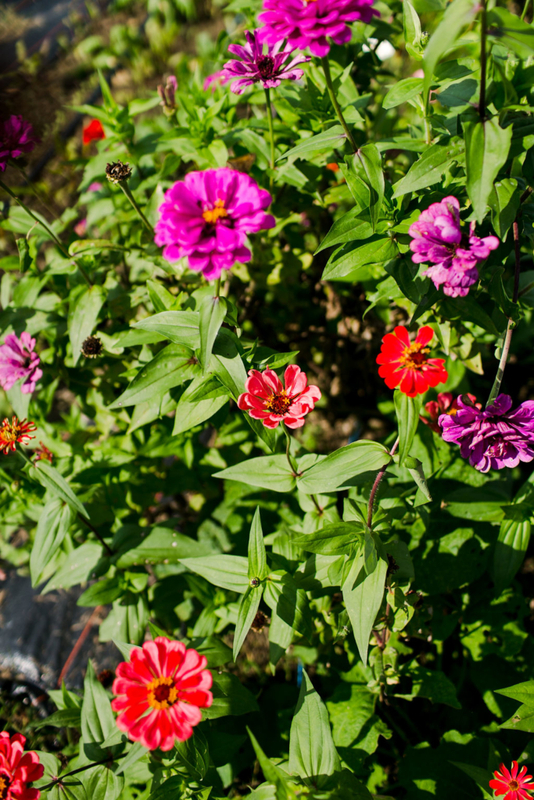 Just like many other home gardeners, they gave it away as a gift to all their friends and coworkers. Luckily for them their co-workers happen to be chefs…and the chefs couldn’t get enough. 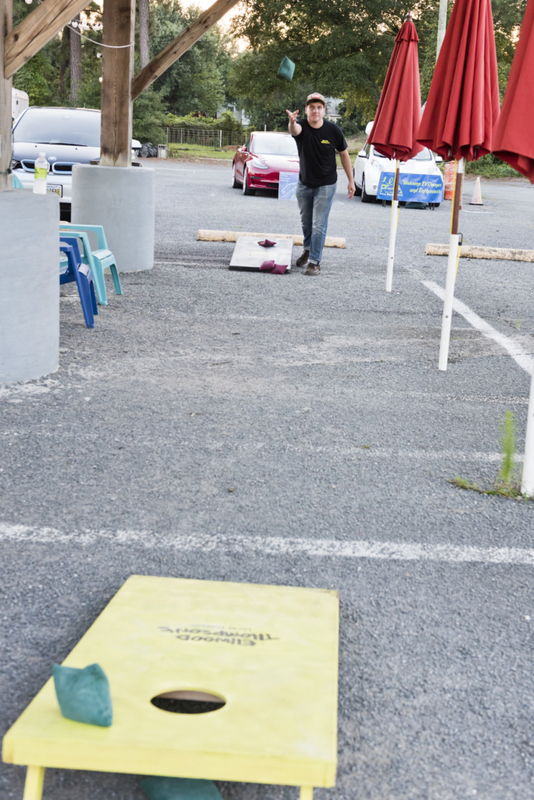 Joe and Josh’s passion has moved from the backyard to the kickball field and now to the restaurant world! 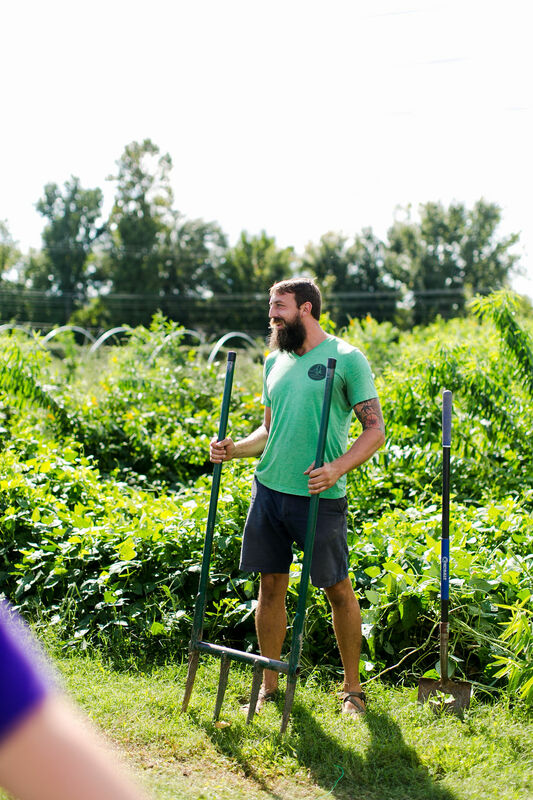 Joe and Josh began to max-out their capacity of their backyards and are leasing a vacant lot owned by a nearby church previously home to kickball enthusiasts. 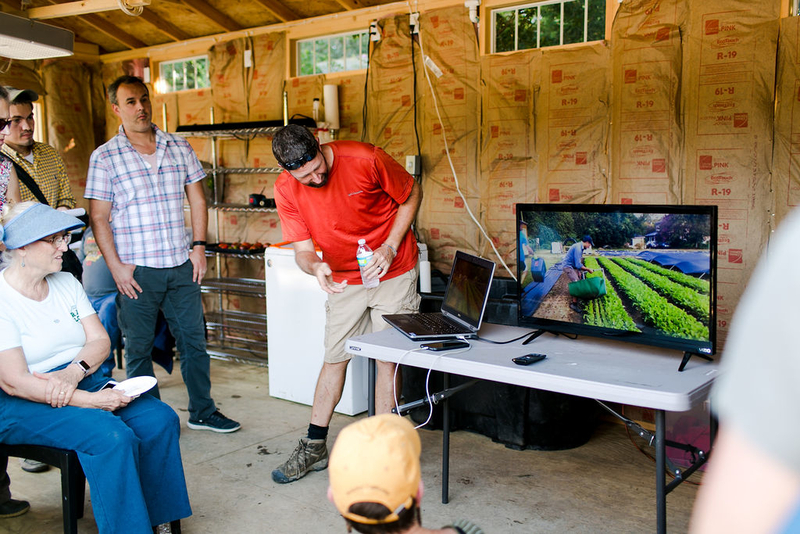 Instead of a home plate they now have a walk-in refrigerator among other small scale farming infrastructure and tools we learned much about. 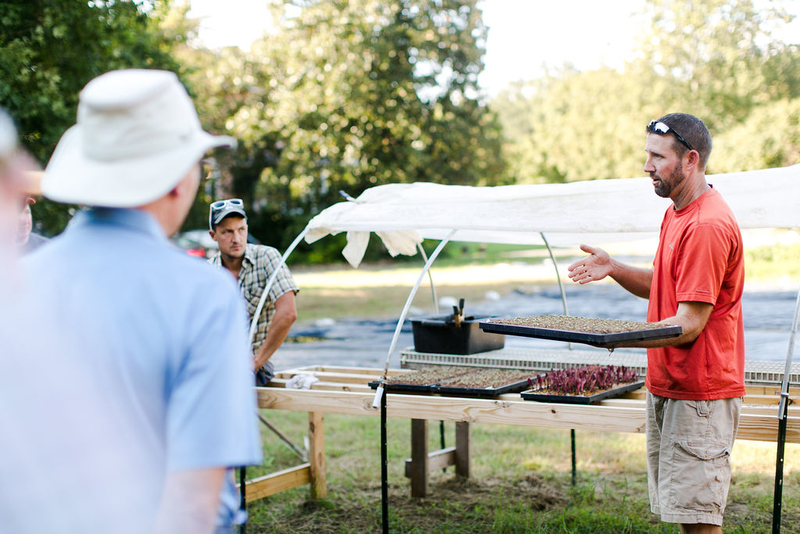 They were more than willing to provide valuable hands on demonstrations of many of these helpful tools. 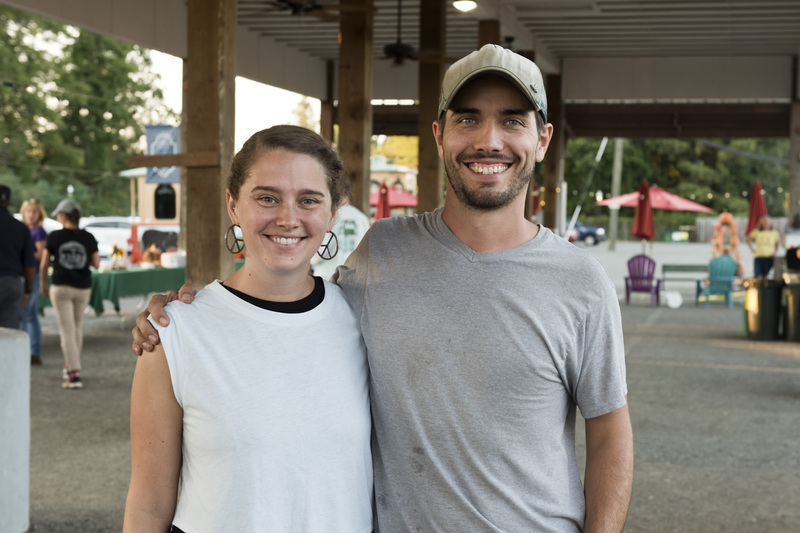 Joe and Josh have worked hard over this past year to build a farm from the ground up and secure a partnership with local restaurant Tazza Kitchen. 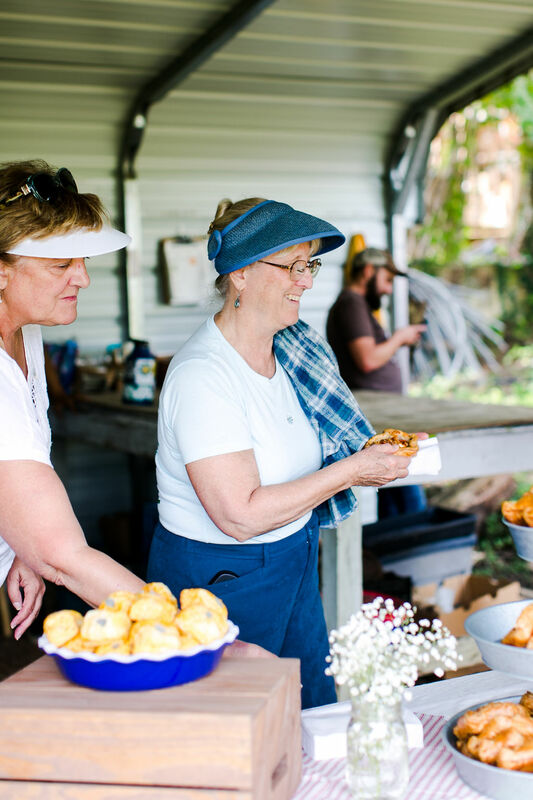 This is a working relationship where both the farmers and business owners give and take to make a locally grown product available on the consumer’s plate. 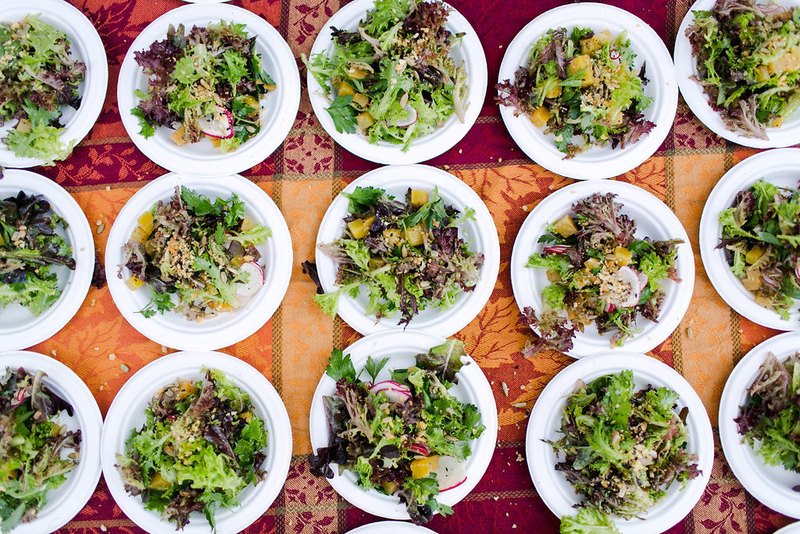 We enjoyed a sample of local salads from Tazza Kitchen, and saw first hand how our meal was harvested. 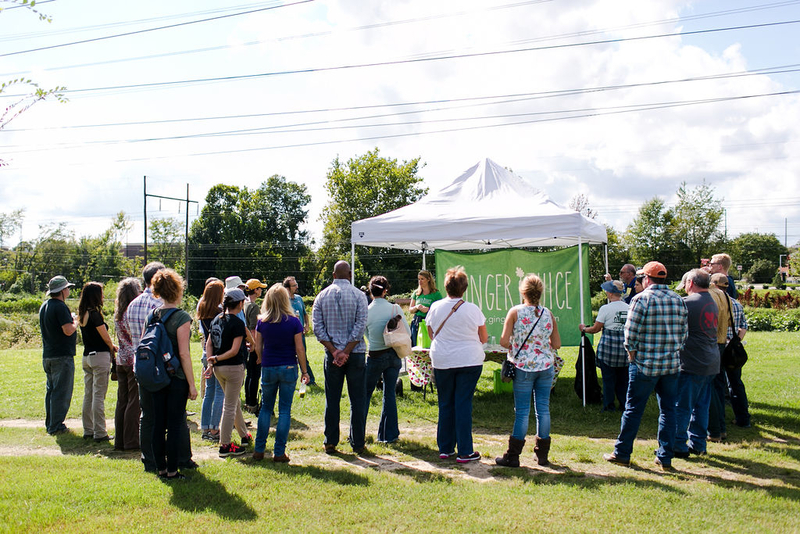 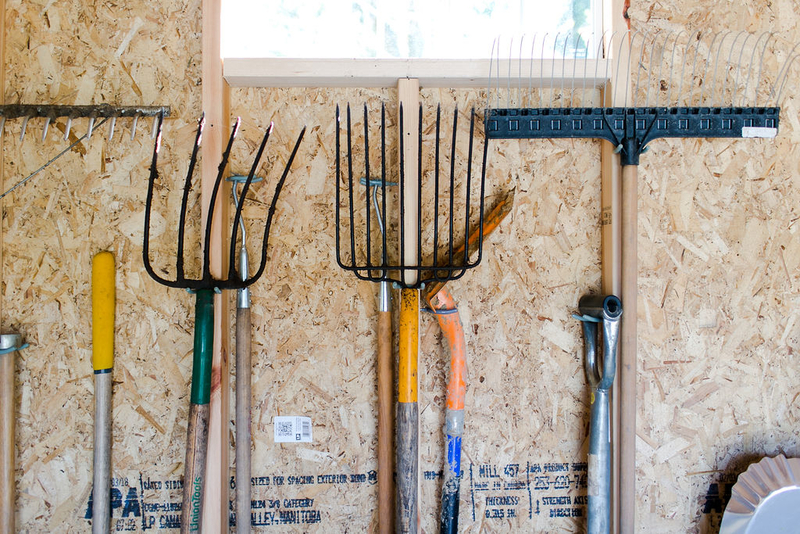 These demos and helpful tips showcased how farmers and backyard gardeners alike can save time while growing fresh food. Don’t let Lakeside’s Tiny Acre’s name fool you, they are doing BIG things. 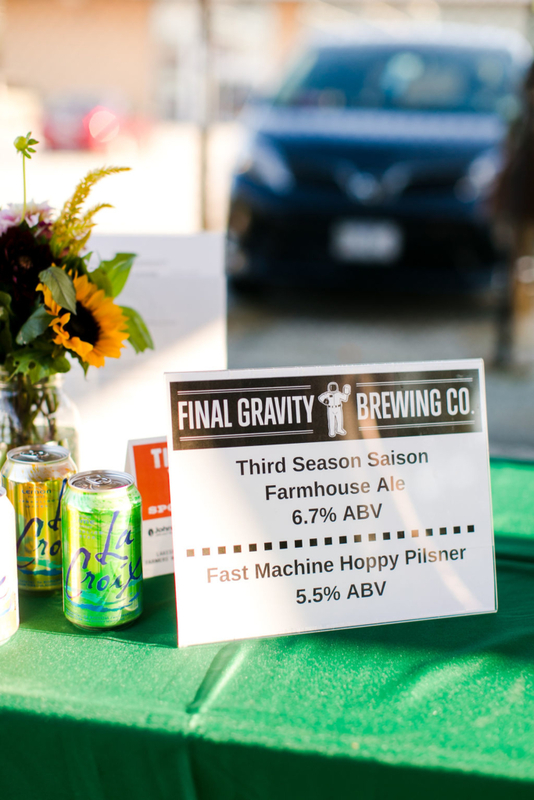 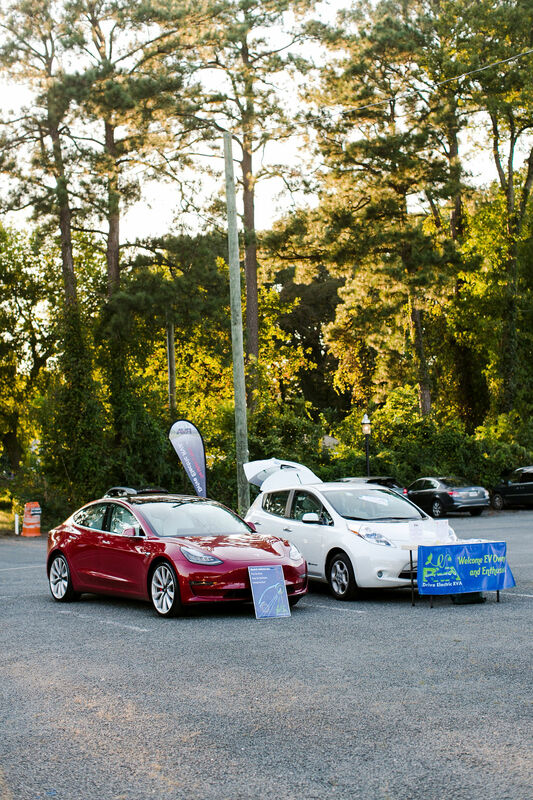 In addition to being emission free they also have other environmentally friendly initiatives including a relationship with Final Gravity Brewing. 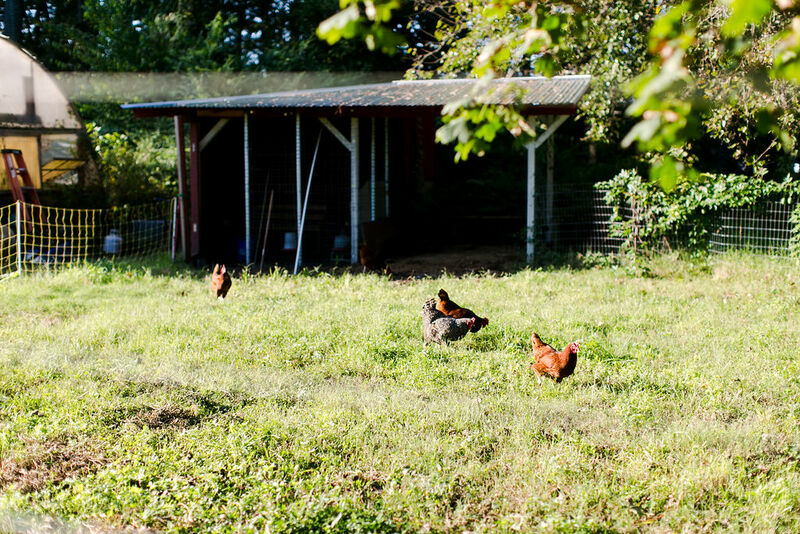 The brewery is a just a stone’s throw away, and Tiny Acre collects their waste malt grains for compost and is also enjoyed by the chickens! 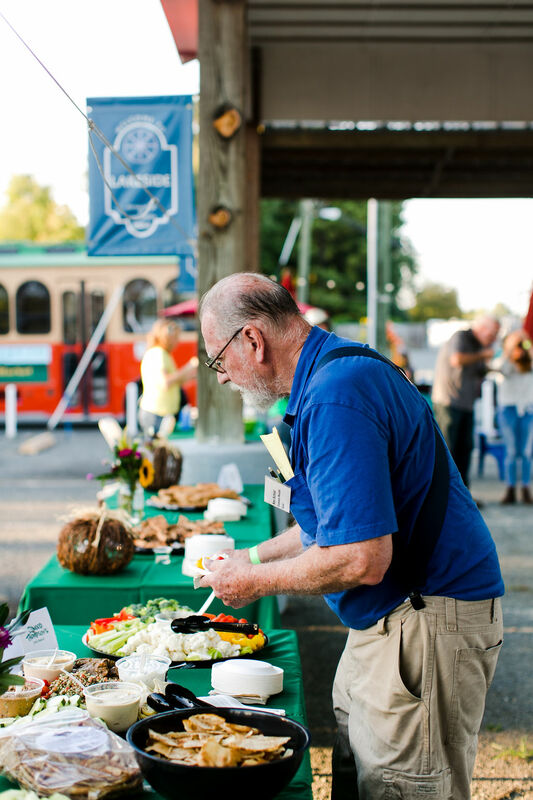 Following the day of touring guests were invited to party under the Lakeside Pavilion and enjoy a wide variety of local food. This was not your typical party. 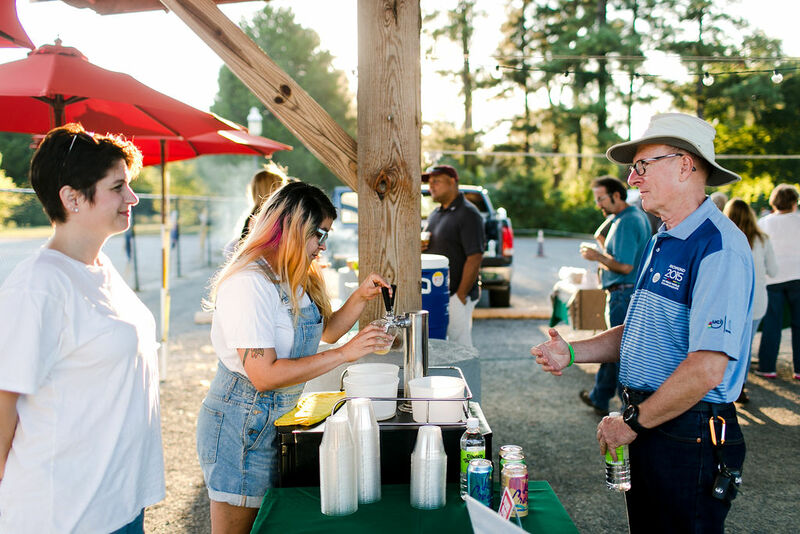 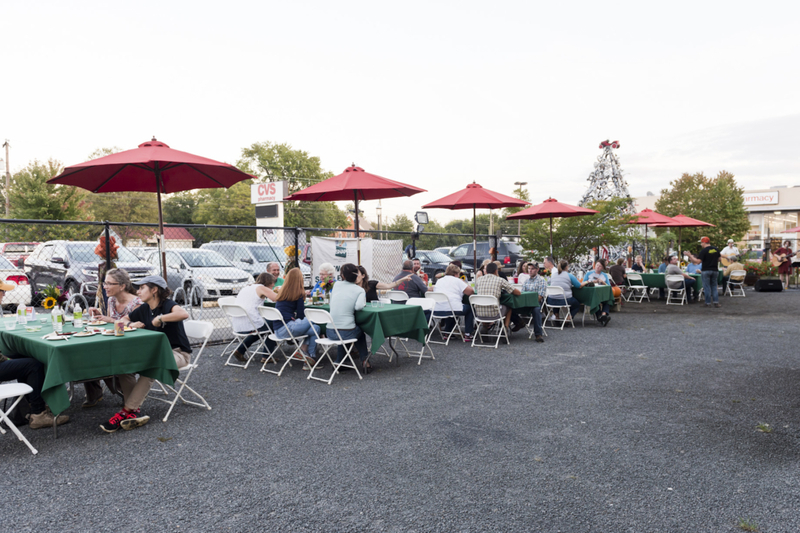 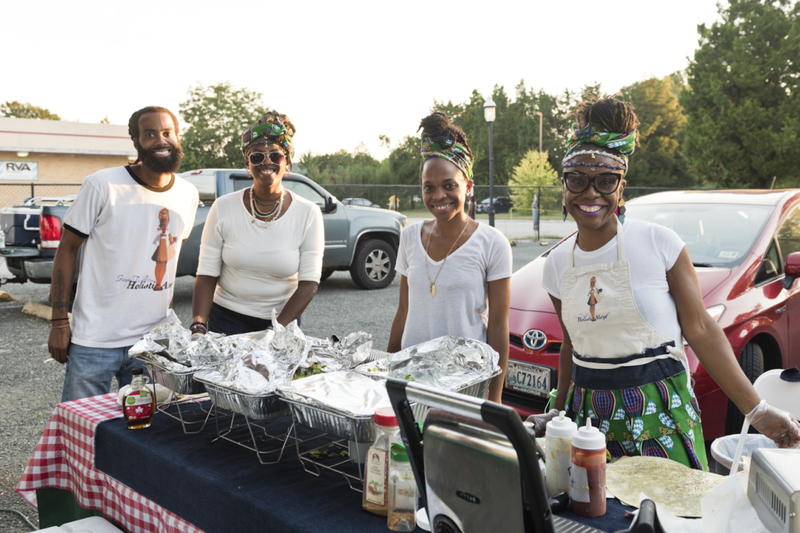 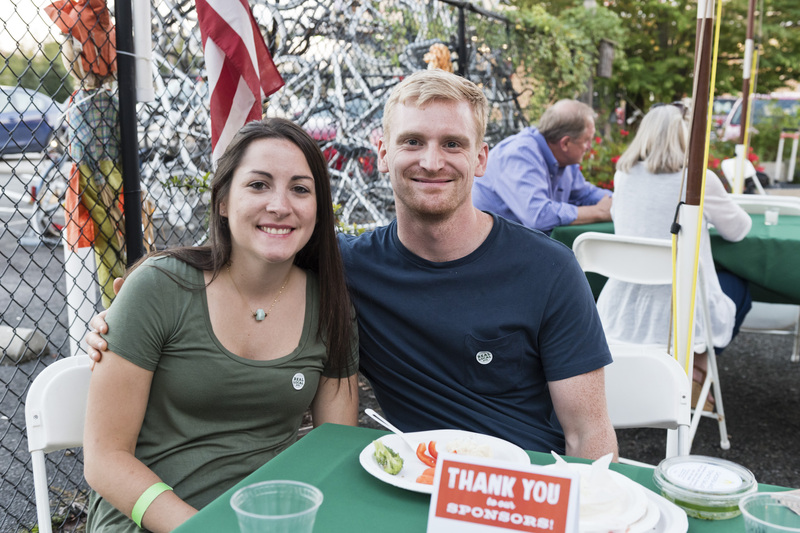 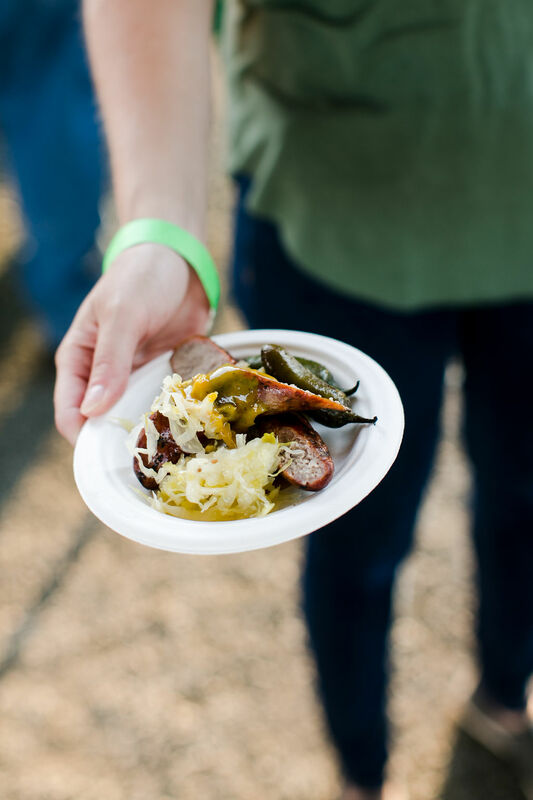 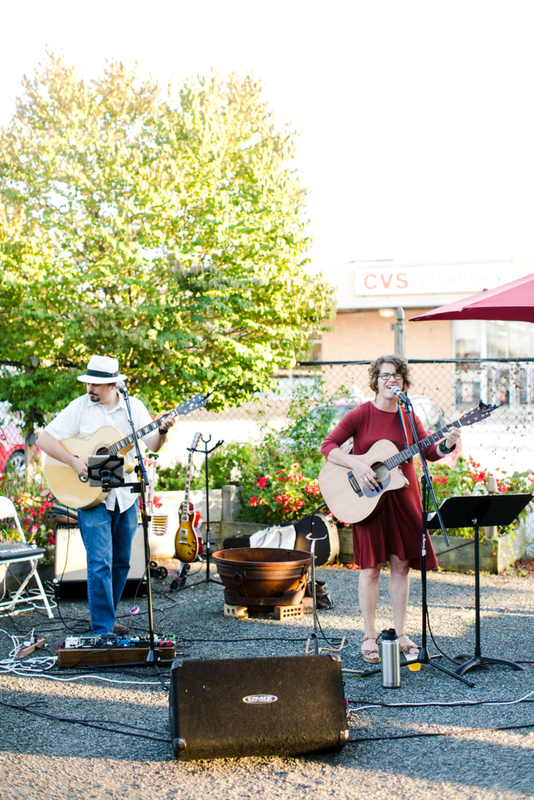 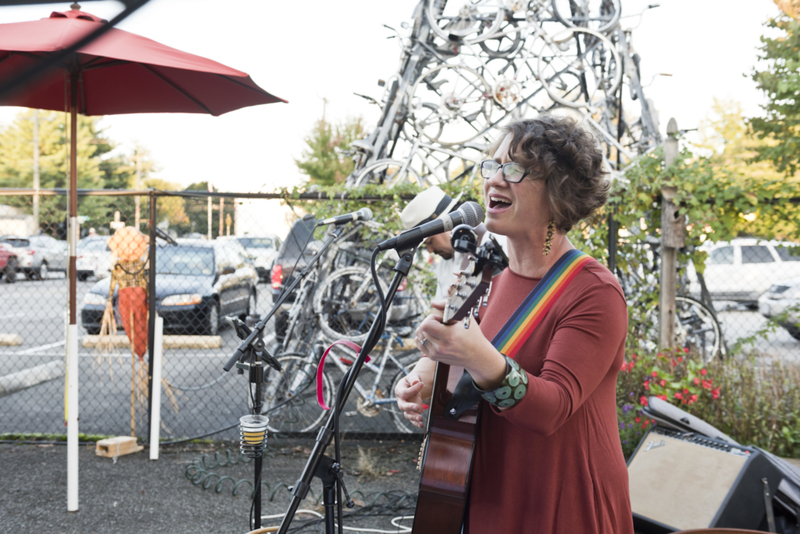 Instead of hamburgers and hotdogs from unknown sources, there were local garlic bratwursts, vegan burritos, and craft beverages… not to mention foot stompin’ live music by The Mills Family Band! A natural grocery store with a diverse selection of products with an emphasis on local, organic, minimally processed, sustainable foods. 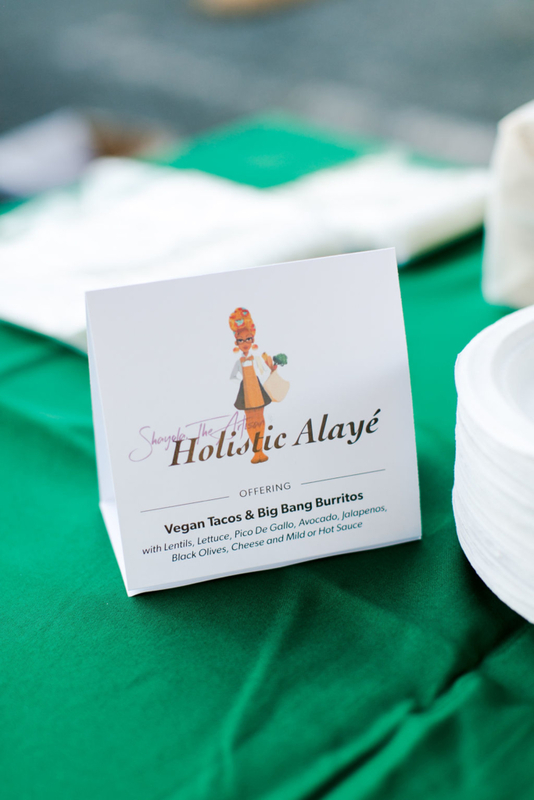 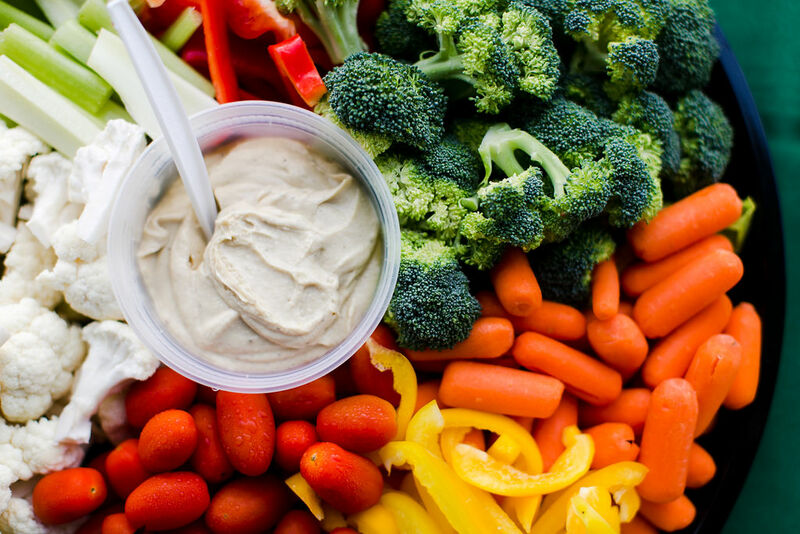 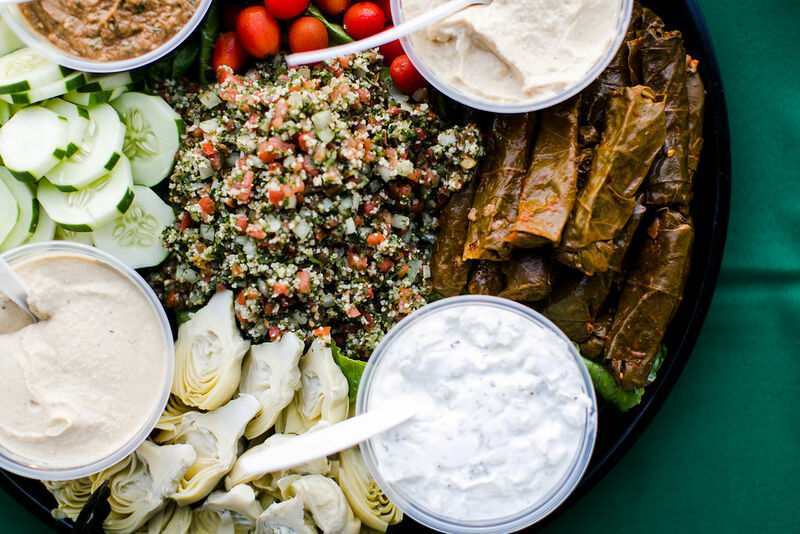 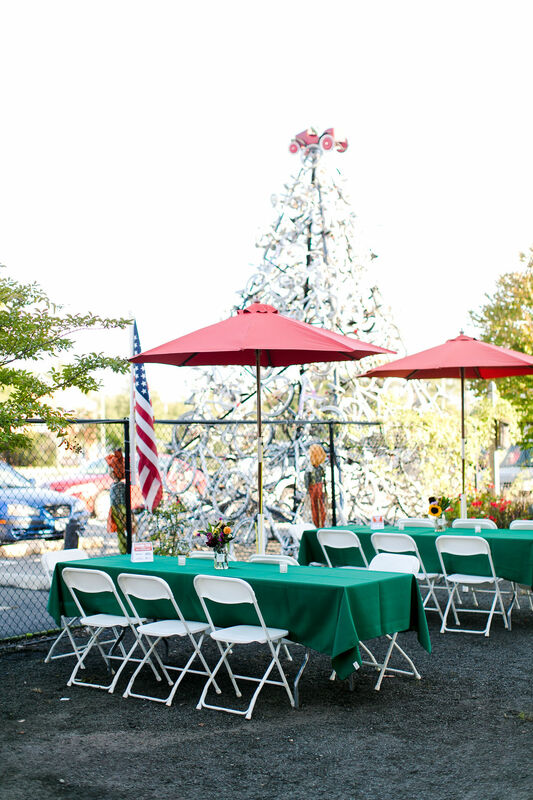 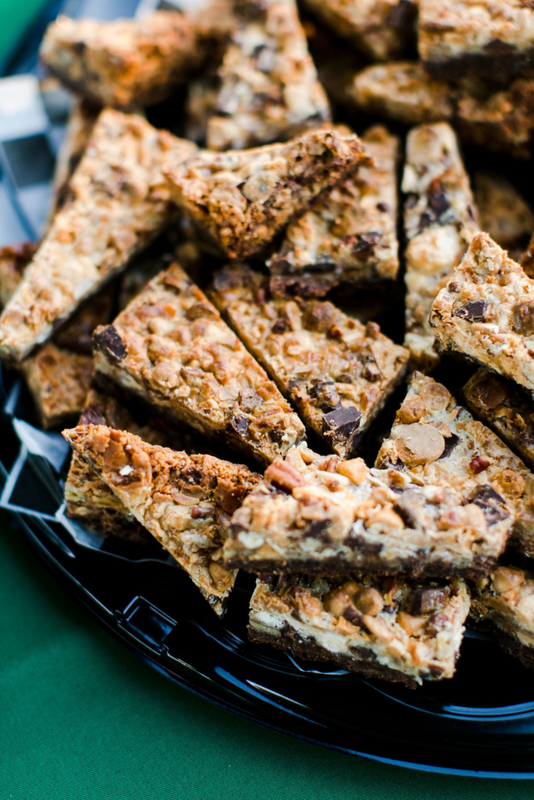 Holistic Alayé offers an assortment of catering options to fit the needs of just about any event! 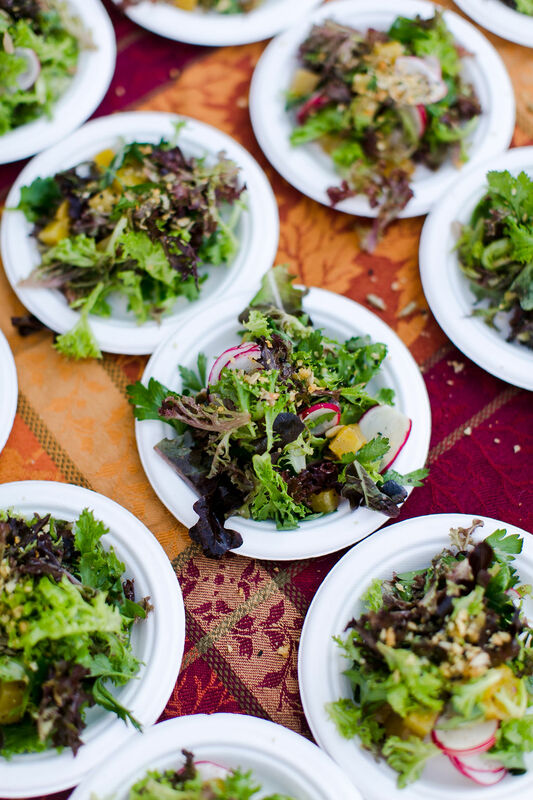 All dishes are meat and dairy free and yet filling fun to enjoy. 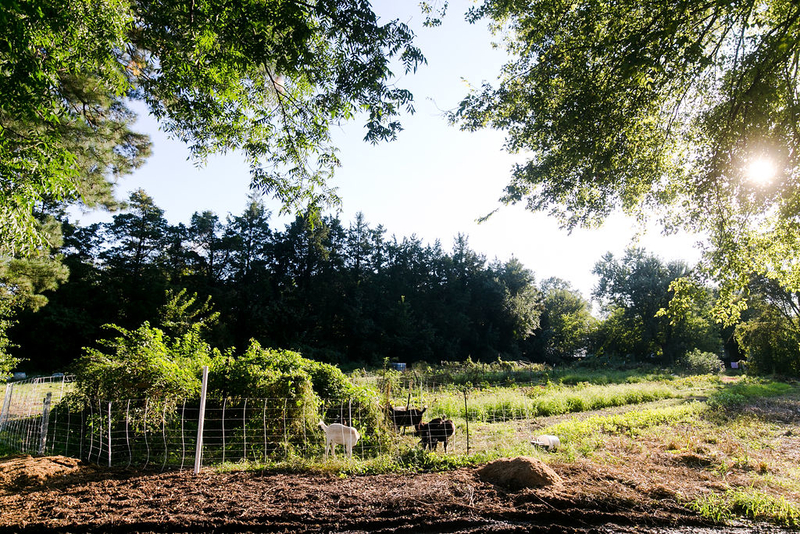 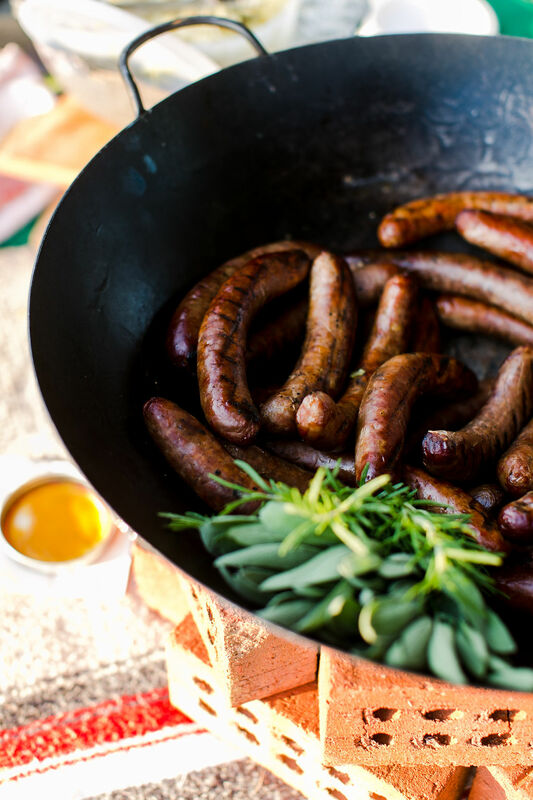 A local farm that provides great tasting pastured pork, eggs, and certified naturally grown produce. 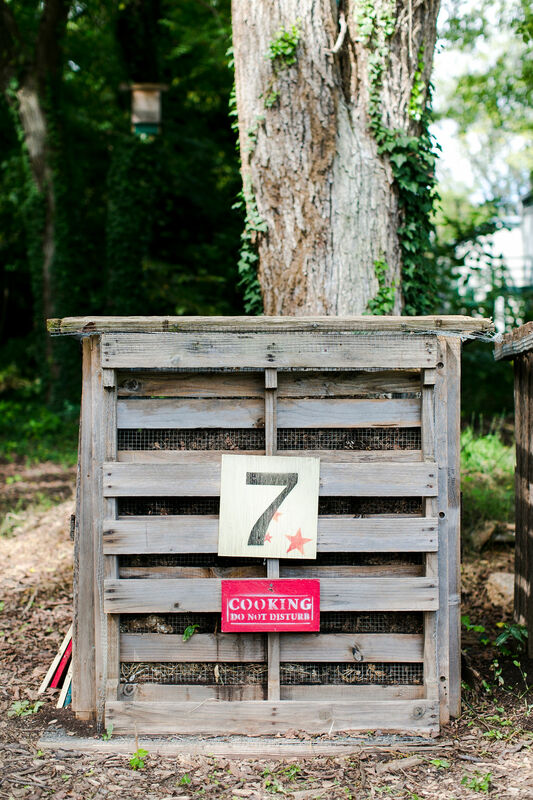 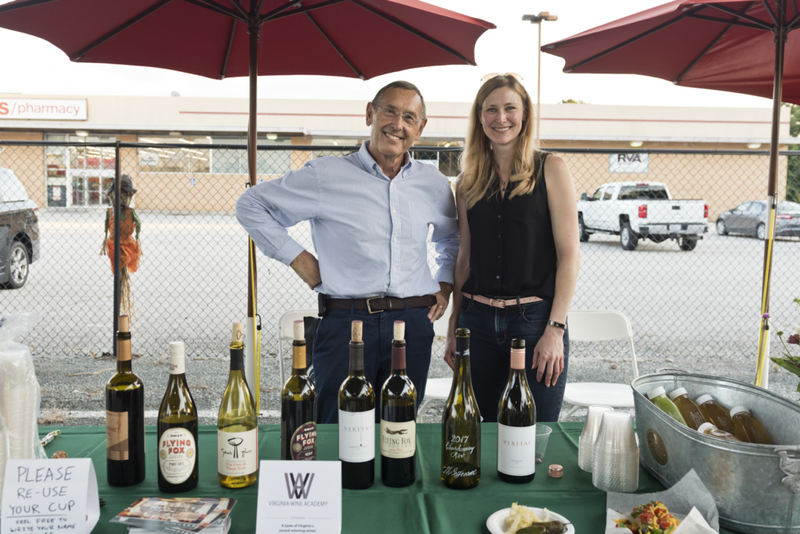 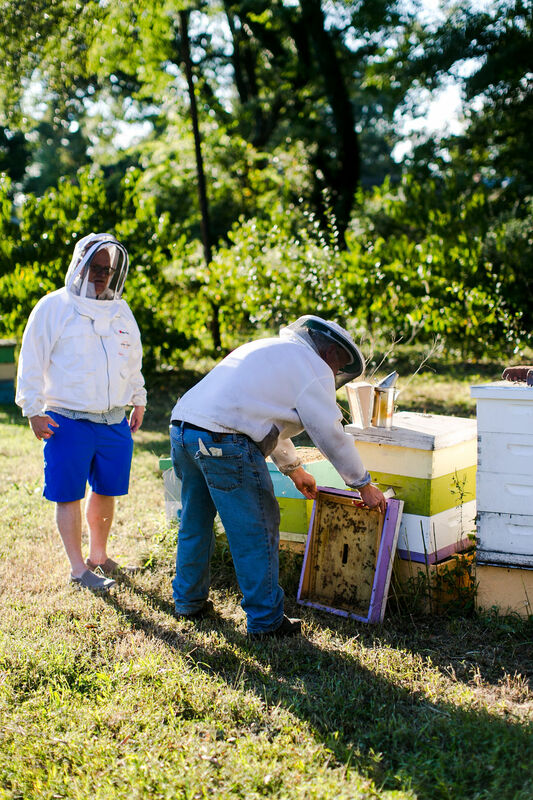 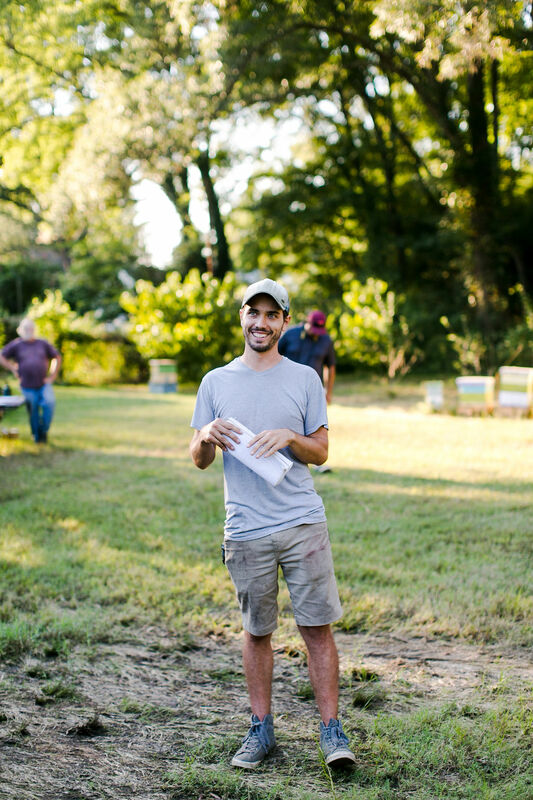 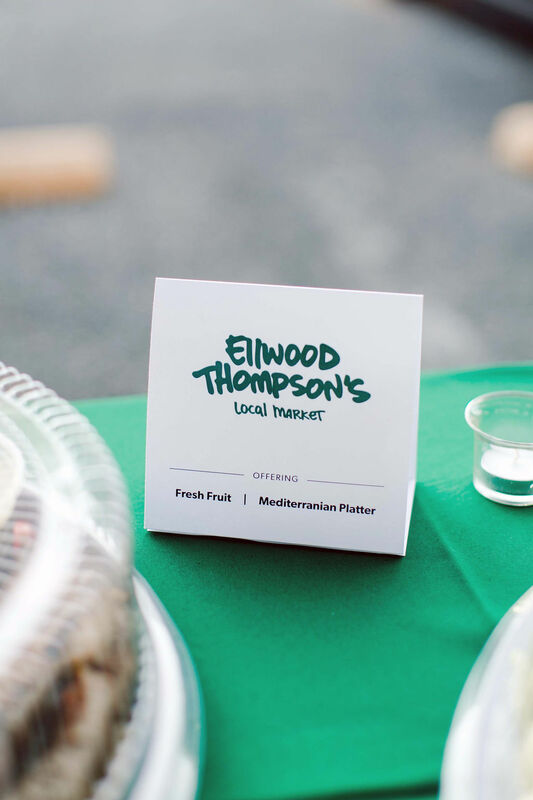 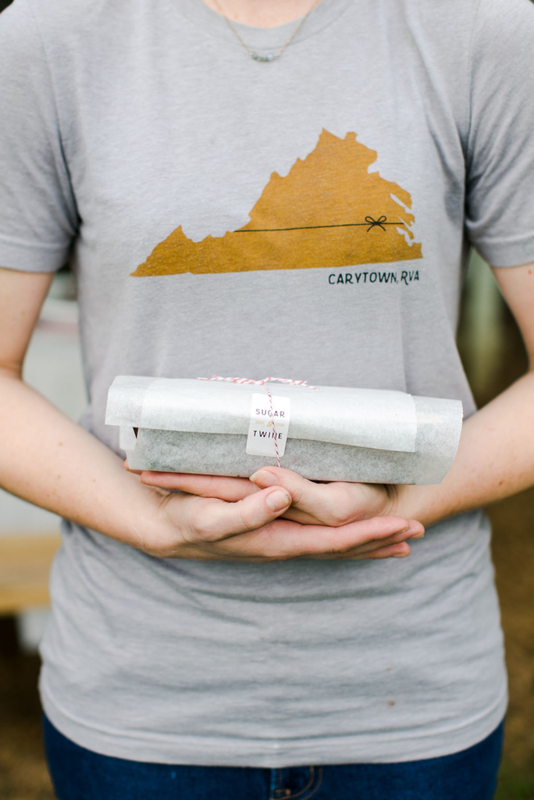 They grow in the Fulton Hill neighborhood of Richmond, Virginia and hope to continue to spread the joy of local fermented foods with their community and beyond for many years to come. An independent green grocery, sourcing great food locally. 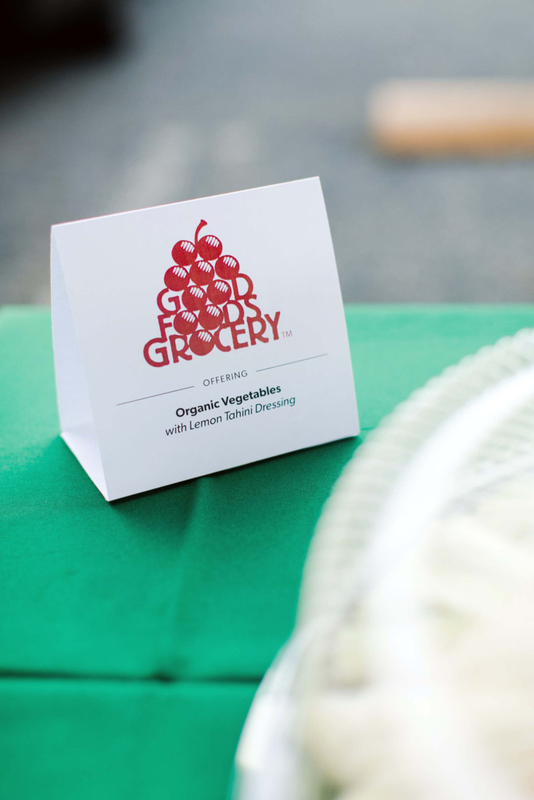 The Mission of Good Foods Grocery is to honor God by supporting customers at their different levels of nutritional maturity, by providing exceptional and memorable customer service, and by selling products that are as natural, wholesome, and uplifting to nutritional well-being as possible. 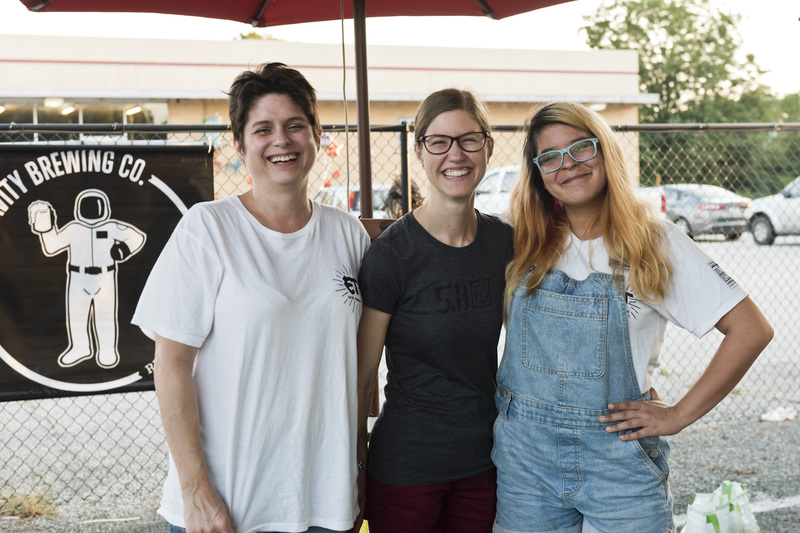 A local brewery with a tasting room that offers a friendly and knowledgeable staff, relaxed casual atmosphere, arcade games, dartboards, outdoor seating that is dog friendly, snacks and Daddy G’s Salsa. 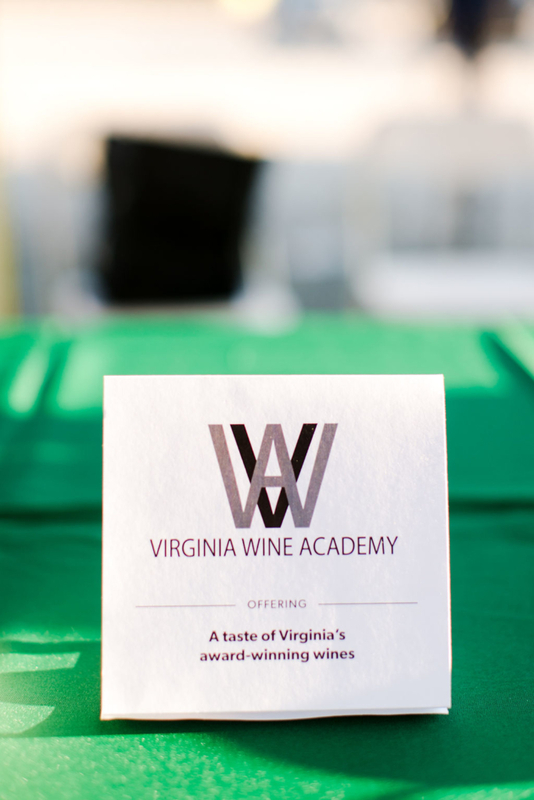 A program provider that offers WSET courses, workshops, and wine themed events for both wine and spirits industry professionals, the community of wine adventurers and enthusiasts. 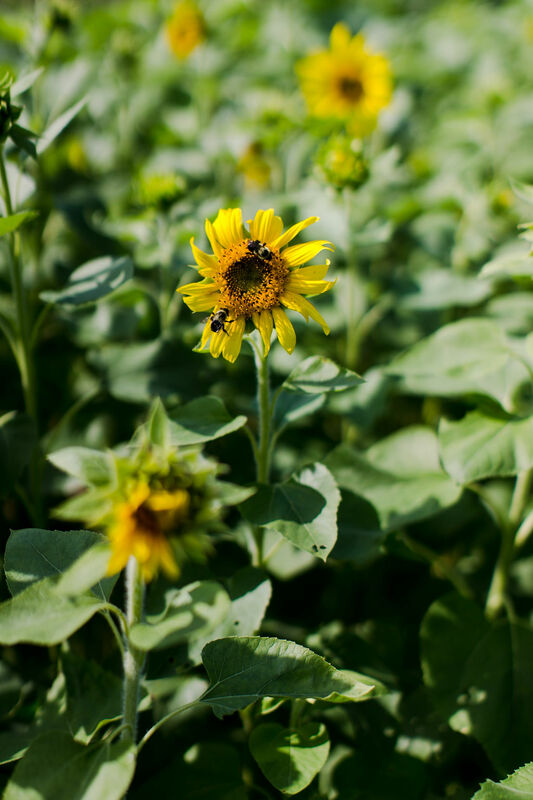 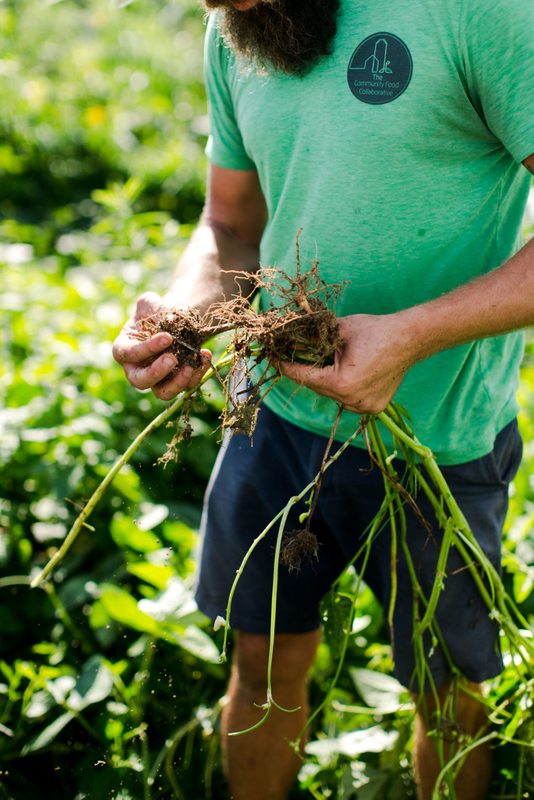 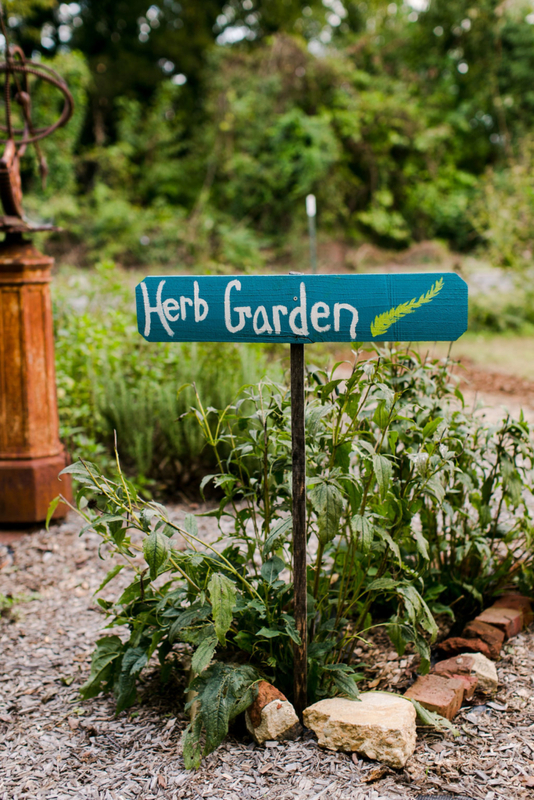 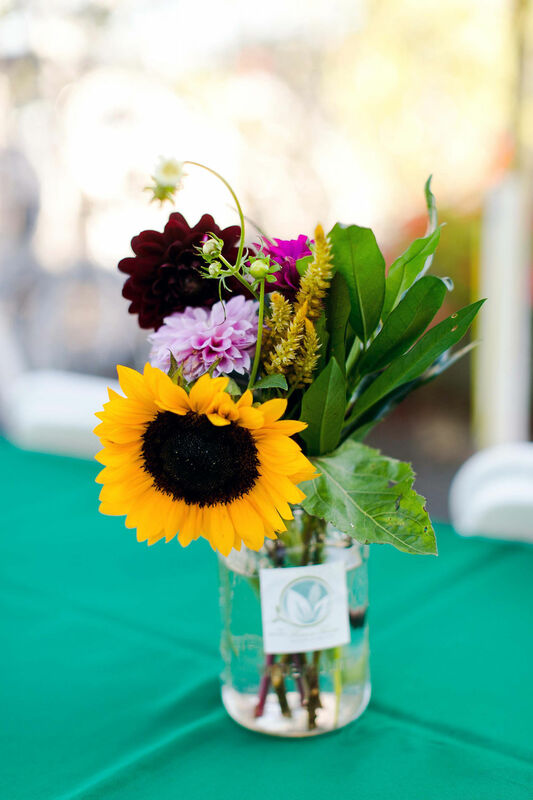 Located in the rural town of Montpelier, Virginia, they are committed to organic and sustainable practices and strive to continually learn best practices to ensure healthy soil and the freshest flowers possible. 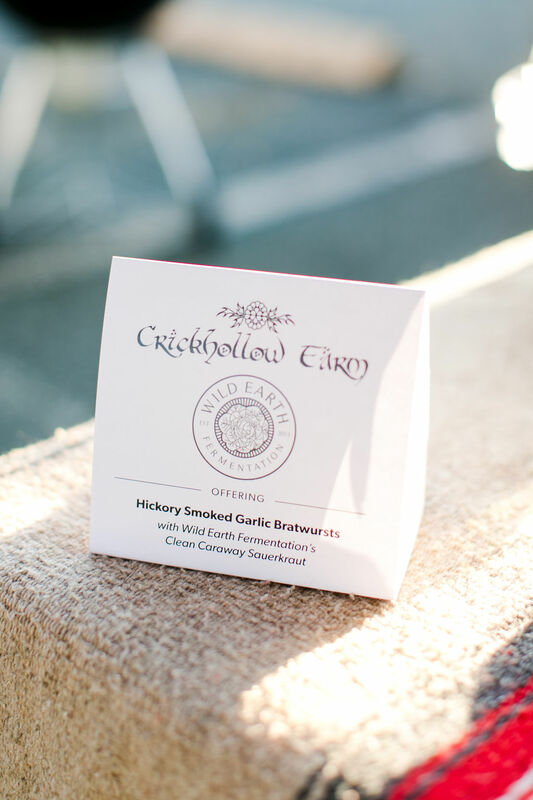 The entire experience was phenomenal. 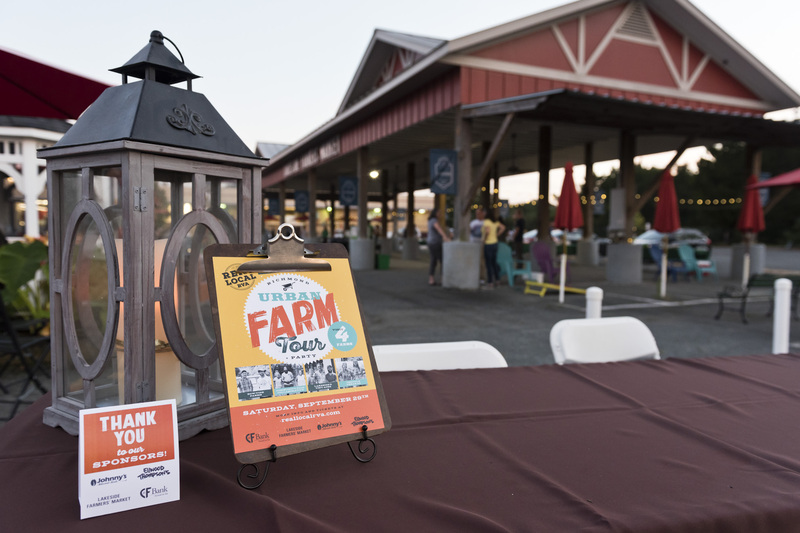 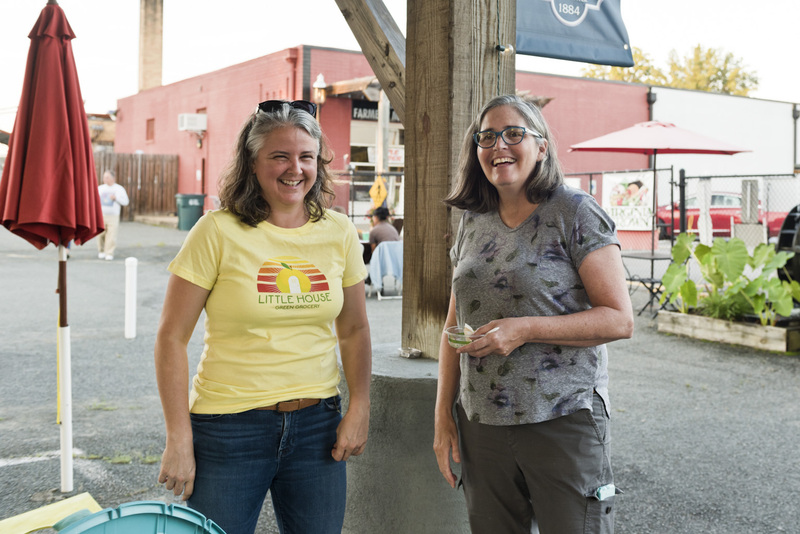 The common theme throughout the tour was that there are interconnections between all of us; local farmers, small businesses owners, and retail supporters. 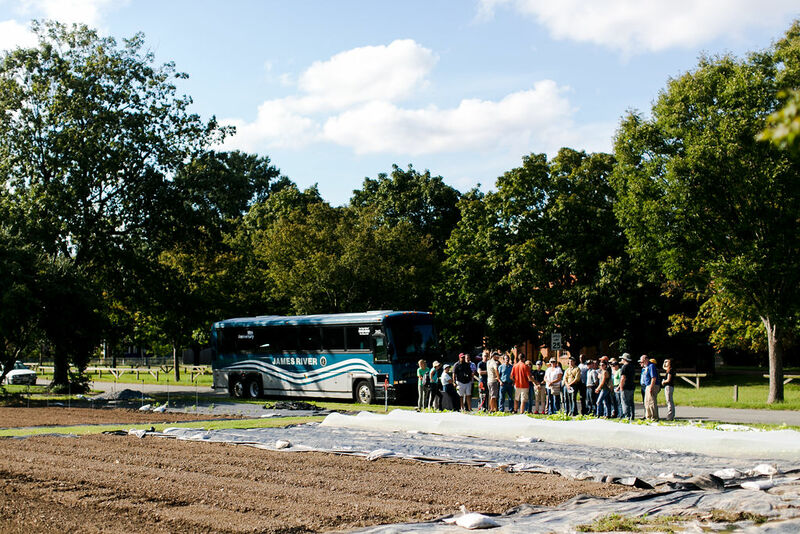 Collectively, we demonstrate the feasibility of sustainable local agriculture and a localized food economy. 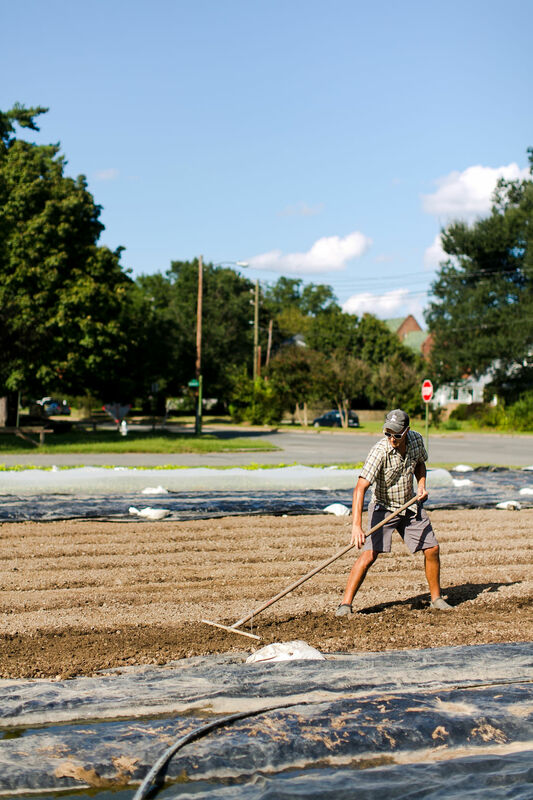 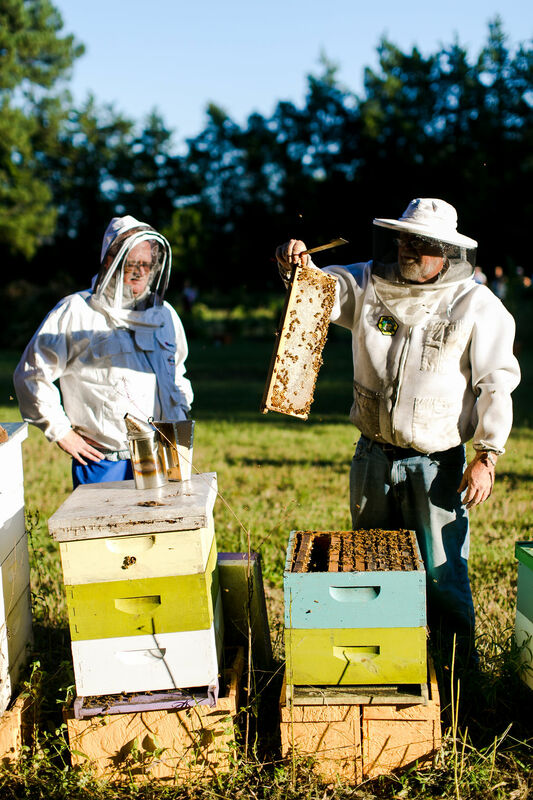 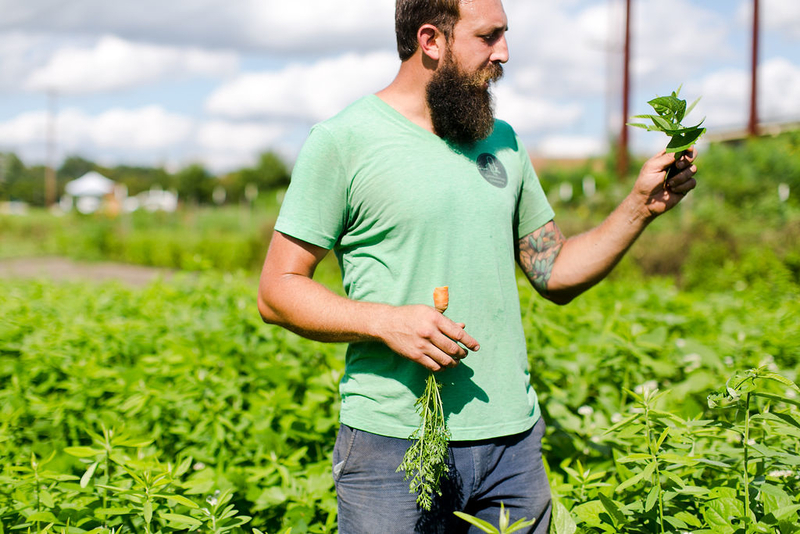 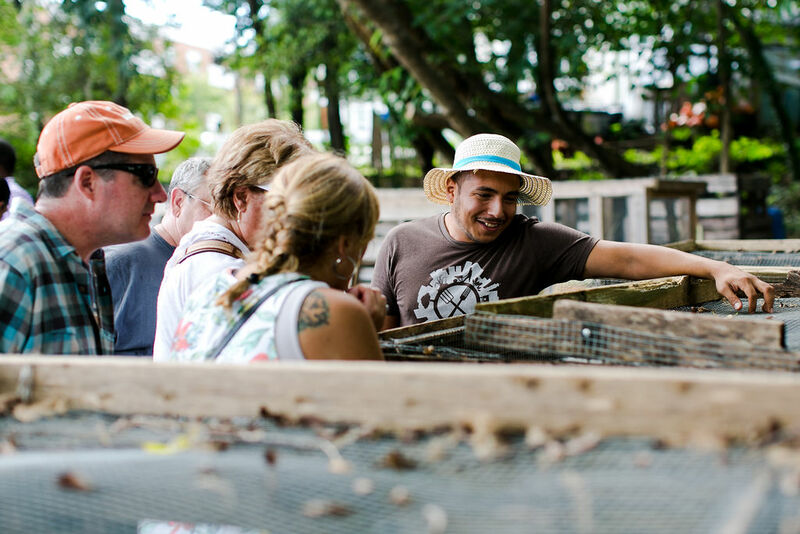 We all play an important part in the greater local food system, so why not play together? 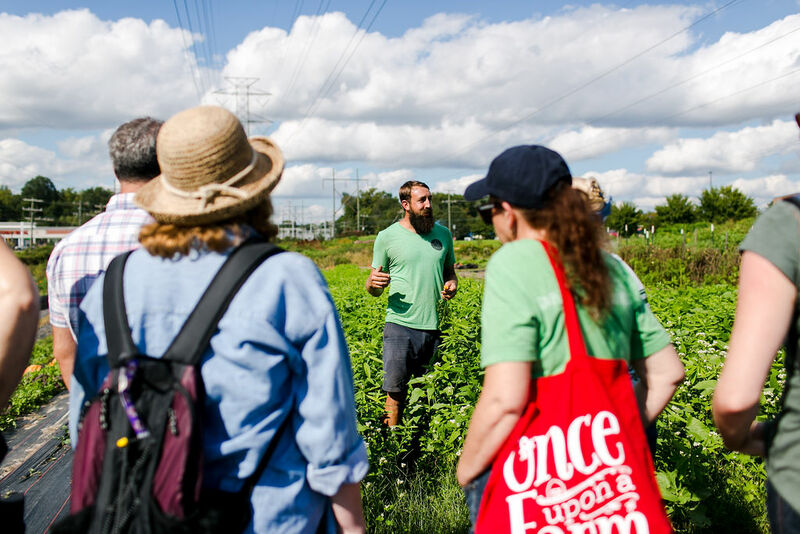 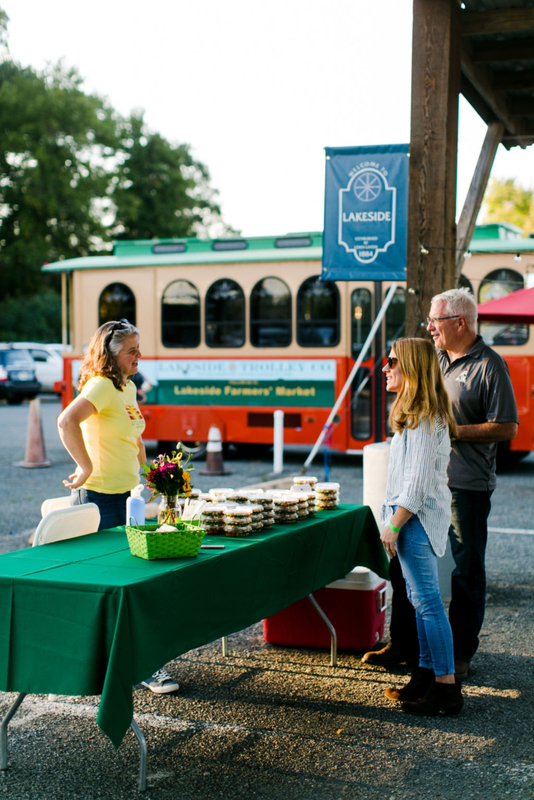 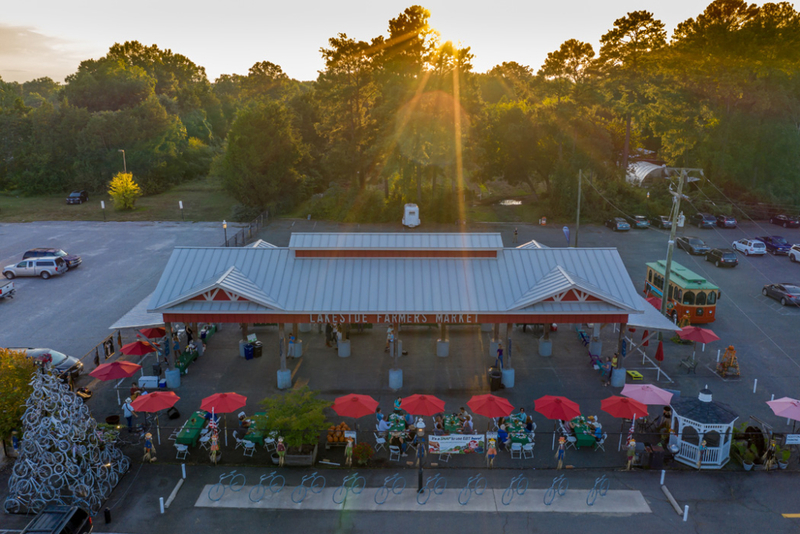 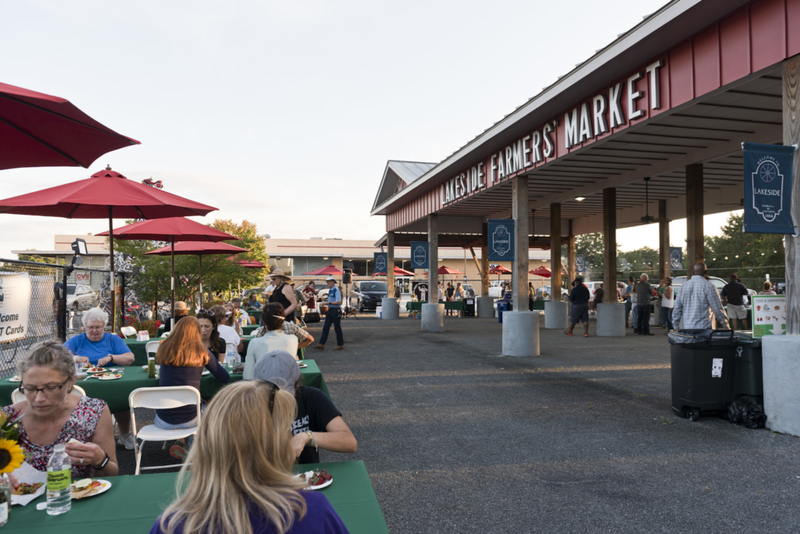 Engage in the local food scene next time you shop, dine out, or participate on a tour! 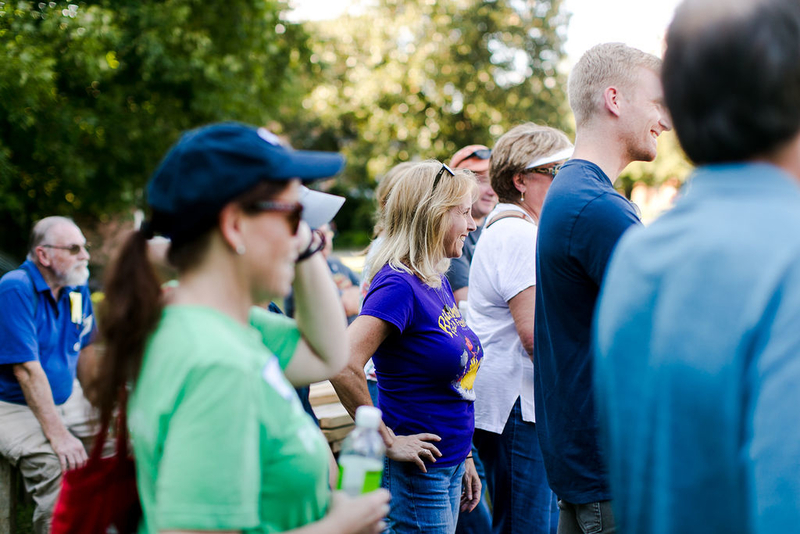 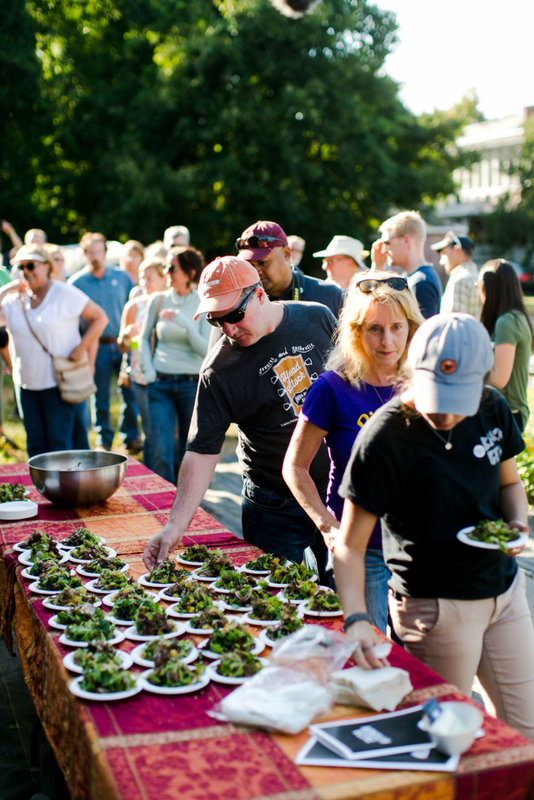 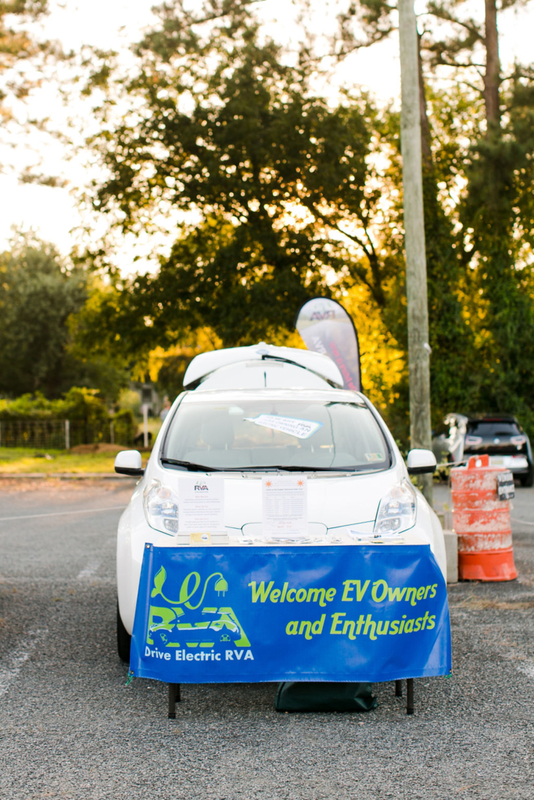 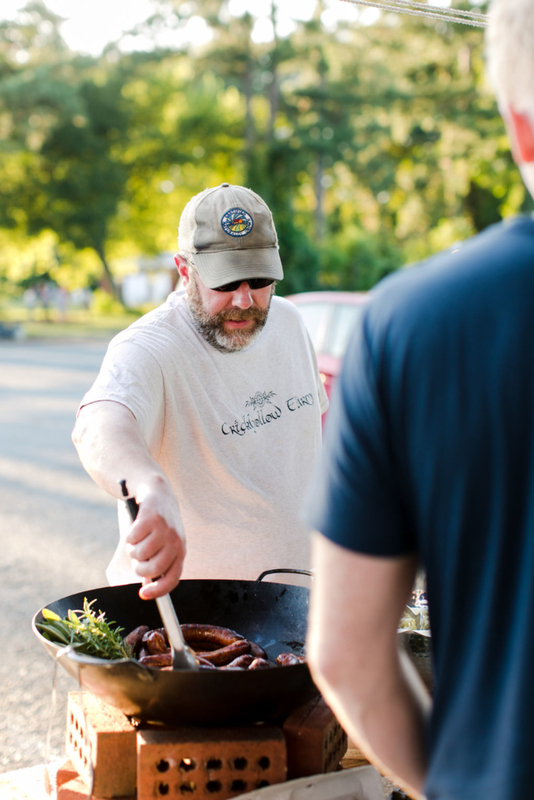 This is what Real Local RVA and Food From Friends are all about – See you next year! 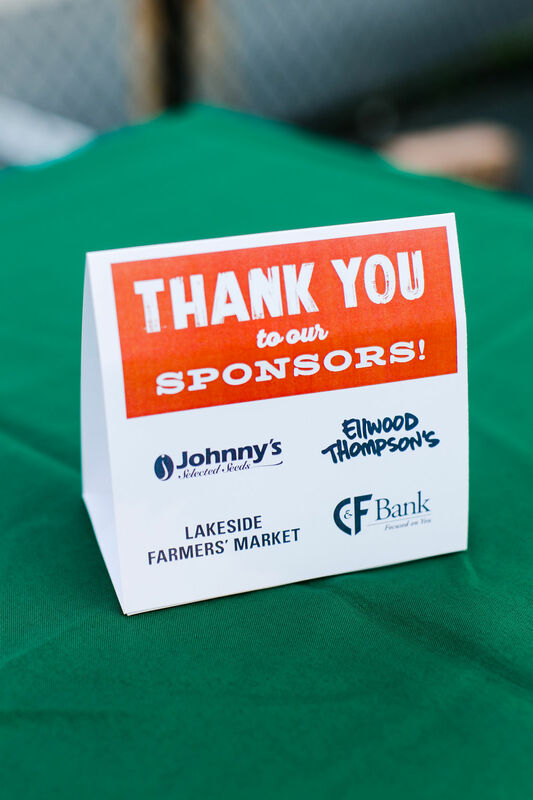 Thanks to our sponsors, Ellwood Thompson’s, Lakeside Farmer’s Market, C&F Bank and Johnny’s Select Seeds. 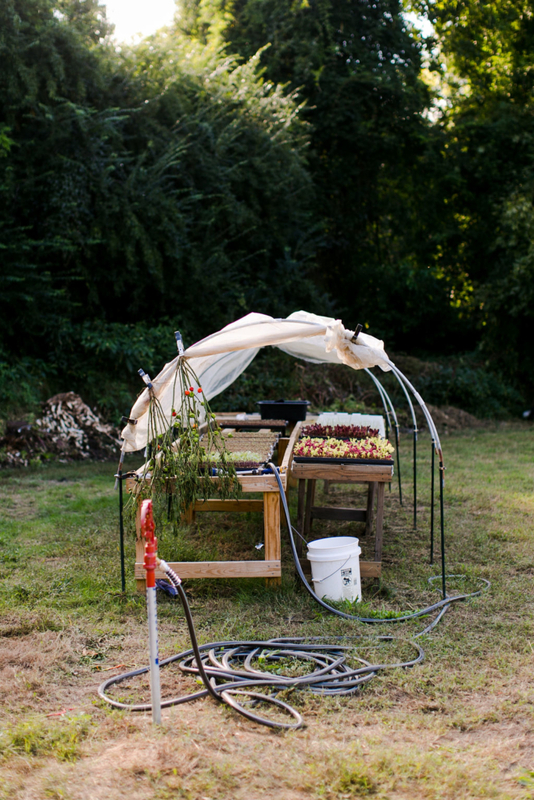 Thanks to NOPE for providing composting services. 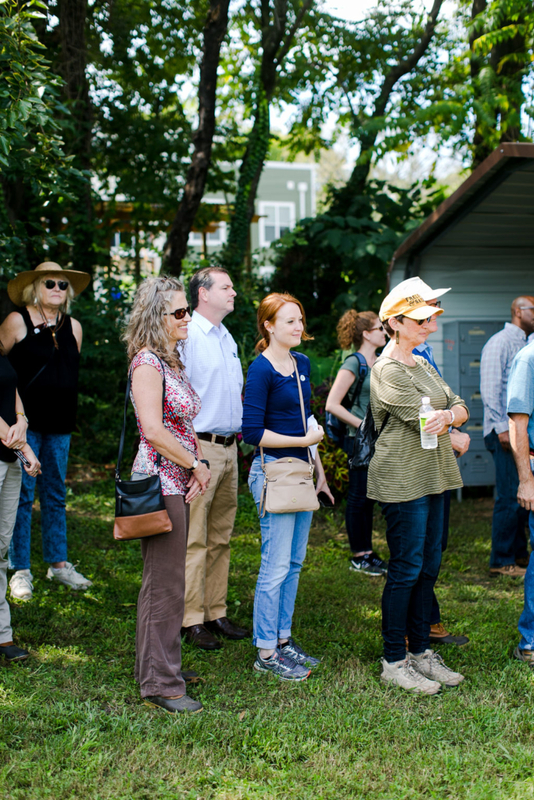 And thanks to Sarah Der for most of the beautiful photos from the day!